I have to admit I was a bit nervous about exploring Cairo on my own, based on what I had seen and heard in the media about being a solo female in the city. Fortunately, my friend Richard from the UK whom I met last summer in Berlin, had the perfect solution for me. A few years back, he had explored Cairo with a fantastic guide named Hossam, and he connected me with Hossam over Facebook and WhatsApp. I arrived in Egypt with my (come to find out, unfounded) anxiety at bay and ready to explore! (TLDR summary): I felt very safe my entire time in Cairo, despite what you may see and hear in the media. I would encourage anyone I know to travel to Egypt! Hossam and his driver met me at the airport once I arrived at 11am Cairo time. I had the whole row to myself on the 10.5 hour flight from NYC, so I was able to get some good sleep while catching up on some recent movies—Hidden Figures (I totally cried!) and Masterminds (I cried from laughing so much!) 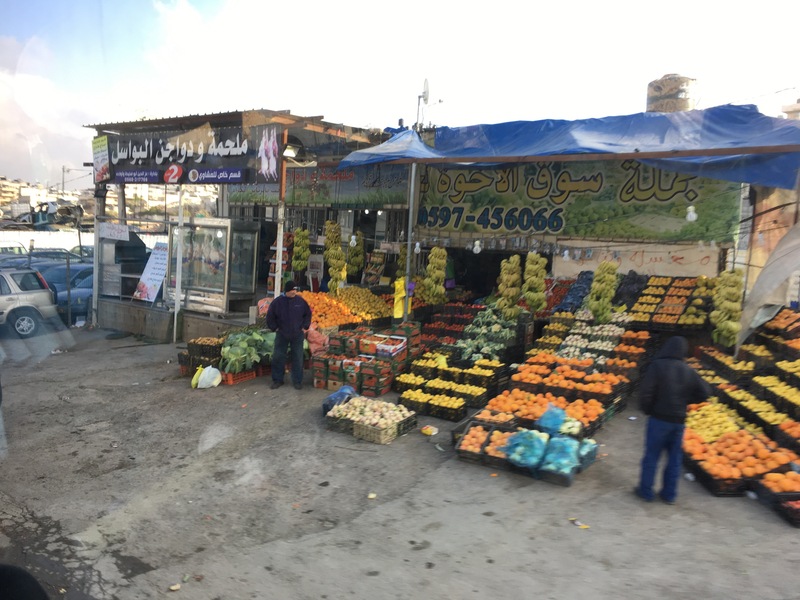 After purchasing my visa (25 USD) and making my way through security, I found Hossam just past the arrivals section, and we loaded up and began the 1.5 hour drive to Giza. First impressions of Egypt? The traffic is insane! Even more insane than NYC x1000. Most main roads do not even have painted lanes, and it doesn’t make a difference on the ones that do as most drivers straddle the lines with their cars as they drive. Even though Cairo traffic was a true free-for-all, there were surprisingly no accidents, as all the drivers are super vigilant even as they drive crazily. As we made our way toward Giza, Hossam drew diagrams for me as he explained the significance of the pyramids and ancient Egyptian history. Giza is located on the west bank of the Nile, while the main city of Cairo is on the east bank. This is for a reason—the ancient Egyptians believed that the side of the Nile where you lived represented your current life, while the opposite bank represented the afterlife. Therefore, the pharaohs constructed their burial sites on the west side to represent the “crossing over” that occurred after death. I’ll never forget the first time I saw the Great Pyramid in person—it was breathtaking. According to Hossam, the pyramids change each time you view them, and are never the same twice. Do they have a mystical power? I’ll leave that for you, the reader, to decide. During the course of the visit, we walked around and took in the sites at various points. I paid 200 EGP (~11 USD) extra to climb to the burial room inside the Great Pyramid, and it was worth it. The climb is more like a 37 meter inclined crawl, and it was hot and cramped at times. It reminded me of the Cu Chi tunnels in Vietnam. Once I reached the top, I found myself alone in the burial room where the body of the pharaoh Khufu was once sealed…super eerie! This is where Khufu was buried near the top of the Great Pyramid! The walls are made of rose granite. It was super creepy to be in here by myself! 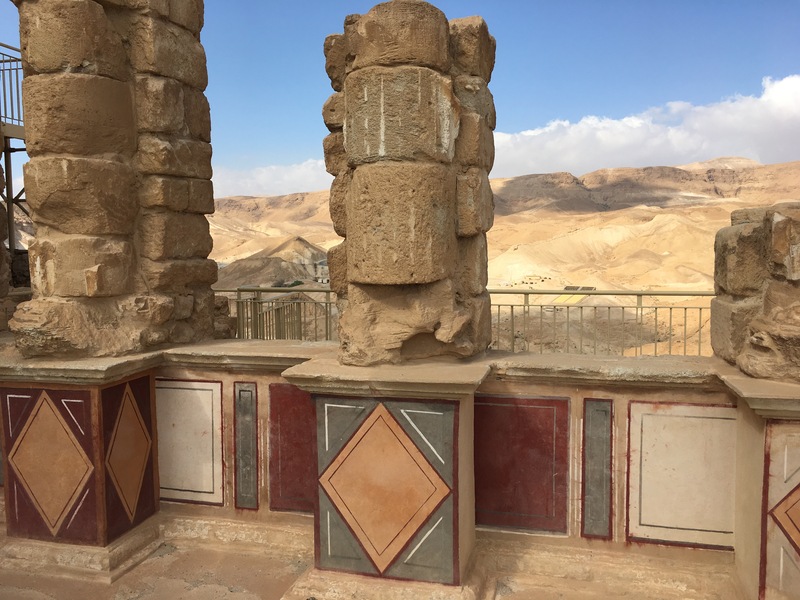 After leaving Khufu’s Great Pyramid, we made our way toward the bank of the Nile, stopping along the way to visit the Queens’ pyramids and the burial temple of Khufu. Hossam was able to take me into a secret locked portion of the temple! We then drove around to take in the view of the complex from the other side of the pyramids away from the Nile bank. The Great Pyramid is accompanied by the pyramids of Khafre (Khufu’s son) and Menkaure. Out of respect, Khafre built his pyramid to be 3 meters shorter than his father’s pyramid. But poor Menkaure—his pyramid is so tiny compared to the other two! Hossam told me this was likely due to a poor economy during the time of its construction—when there was more abundance, the pyramids were bigger, and vice versa. Our last stop in the temple complex was a visit to the valley temple of Khufu and the Sphinx (my favorite!). Until 100 years ago, the Nile flowed just beneath the Sphinx and the valley temples. However, the river has since changed course. The purpose of the valley temples was to receive the bodies of the dead pharaohs from the “other side” in preparation for the afterlife. Each pyramid has a valley temple and a causeway leading to the burial temple, which is connected to the pyramid. The Sphinx, a mythical creature with the head of a human and the body of a lion, was built to guard the pyramid complex by the pharaoh Khafre along the banks of the Nile. Like seeing the Great Pyramid, seeing the Sphinx in person for the first time was truly breathtaking…it’s like he popped out of nowhere as I scanned my eyes across the horizon, and I was definitely caught off guard! Me and Hossam at the Sphinx! Guarding the pyramids. I love how big the “paws” are! After leaving the pyramids, Hossam took me to a papyrus art gallery. I knew papyrus was used as paper, but I had no idea the spiritual significance of the plant to ancient Egyptians. The papyrus and the lotus flowers are the two sacred plants—the lotus flower represents love, and the woman gives a lotus to the man she wants to marry (yes, the women proposed to men in ancient Egypt! Holla at that feminism!) If he accepted the lotus, they were engaged. If not, then she could move on! The papyrus was also sacred because of its form (its shape represents the sun god Ra, as the head of the stalk looks like the sun’s rays shooting out), and because of its function (used to make boats and as paper). As a law student, the mythology of the weighing of the heart struck me in particular, and is my favorite story I am taking away from my time here. After a person dies, he goes before Osiris, the judge of the afterlife. The heart of the deceased is placed on a pair of scales and weighed against a feather, held by Maat, the goddess of justice. If the feather outweighs the heart, he had a light heart, meaning he spent his life peacefully doing good for others. However, if the heart outweighs the feather, he had a heavy heart, meaning he had lived his life in anger and not doing right by other people. I love this story and all it represents—what a great reminder to keep a light heart every day! I purchased this papyrus painting of the weighing of the heart. Maat, the goddess of justice, is on the left (you can see the feather on her head! ), and the heart is in the jar on the right. We finished out our busy day with a visit to the souk (marketplace) in the Islamic district of Cairo called Khan el-Khalili. The market was full of both modern and traditional vendors, and it seemed every other building was a mosque featuring the most beautiful architecture. I learned that all mosques have domed shapes because of the acoustic requirements before the age of electricity and loudspeakers—the domes would amplify the call to prayer five times daily. Today, the calls to prayer are simply played over loudspeakers, but the domed shape has remained a part of Islamic tradition and culture. Another interesting architectural find? These window screens, called mashrabiya. As women must be covered in public, and not viewed by anyone but her husband and family, these screens allow women to look from their windows and not be viewed from the street, thus maintaining their privacy and modesty. A long time ago, these iron windows were “water stations” where anyone could stop by and be served clean and fresh water for free, no questions asked. Sadly, the very next day after my visit, a shooting attack by ISIS on a bus carrying Coptic Christians killed 29 people just outside of Cairo. I received several messages asking if I was ok—I am ok, and we should keep the victims and their families in our thoughts and prayers. This terrible tragedy is a reminder that nowhere in the world is safe, but I want to reemphasize that I never felt in danger during my time in Cairo. America is not the safest place either–it has been almost a year since a shooting attack in Florida killed 50 people. The truth is we all have to stay vigilant no matter where we are in the world. At the end of the day, I was not ready to leave Cairo! It was such a beautiful city and I feel like I developed a deeper appreciation for Egyptian heritage and culture. I hope to go back and visit sometime in the future. Jambo from Kampala! I can’t tell you how excited and amazed I am to be continuing a second summer of blogging. At this point last summer, I was in Southeast Asia and had no idea what the following year, much less the following summer, held for me. I feel very fortunate to be living in Uganda for the next 10 weeks after finishing my first year in law school, and to have the opportunity to pursue my academic interests while exploring another corner of the world. Getting my own wifi hotspot in Uganda for the summer…a beautiful moment! After a bit of self-reflection, I realize my blog posts from last summer were a bit on the fluffy and introspective side. Don’t get me wrong—that’s not a bad side to be on! I greatly enjoy being fluffy and introspective as a favorite pastime, and don’t worry—there will be plenty of those posts this summer. 🙂 However, after traveling for exactly one day in Egypt, I was confronted (actually, more like slapped in the face…) by a serious issue—the issue of travel privilege. I actually hesitate to use the term “privilege”—I feel it carries such a heavy political connotation these days, and many people instantly tune out when they hear or read the word “privilege.” (I.e. asking someone to “check your privilege” will sometimes result in that person deciding he doesn’t have to listen to what you’re saying instead of continuing to engage…a hard reality for those who argue privilege is something that should be recognized and checked (myself included), but a reality nonetheless). But I have to use the term privilege here, because it precisely describes my situation and the situation of millions of other Americans. Any American can spin a globe, put her finger down, say “I’m travelling here!” and make it happen. (This is apart and separate from financial ability to travel, which I’ve discussed in a previous post, and will revisit again in a later post this summer). It’s humbling to admit the “point, pick, and go” strategy is more or less what I did when I planned my around-the-world trip last summer. What I failed to fully realize then, and what I realize more now, is not every person enjoys the right of freedom of movement and travel like Americans do. I met and spoke with several Egyptians during my 10 hours in Cairo who made me realize how much of a problem this is. My guide for the day in Cairo was by far one of the best, smartest, and most genuinely kind guides I’ve ever met when traveling. I casually asked him if he had ever been to the USA. “No, it’s almost impossible to get a visa there for leisure travel if you’re from the Middle East,” he replied. And this policy predates Donald Trump. I can get a visa instantly to his country upon arrival, but he can’t do the same for my country. How do I get this very benefit that he is denied simply due to our differing national origins? I happened to be born in the USA, and he happened to be born in Egypt, and yet this luck of the draw dictates the destinations on this planet where he and I are each free to travel. I am no more deserving than he is of the benefits that come from traveling for personal pleasure and learning, yet I face far fewer barriers in far fewer countries than others face. This is example #1 of the definition of travel privilege. Another privilege? Strength of currency. As Americans, we enjoy a relatively strong US dollar. While we may complain how “expensive” it is for us to travel to Europe or the UK, the truth is we can afford to travel pretty much anywhere when it comes to currency exchange rates. However, Egypt has seen its currency fall from 7 EGP to 1 USD to 18 EGP to 1 USD over the last decade. Not only is this prohibitive to leisure travel, but it’s prohibitive to parents being able to put food on the table for their families. A currency decline of this magnitude, coupled with the decline of a major industry (in the case of Egypt, tourism) means it’s harder for many families to make ends meet, and more kids are going hungry. I’ve met others over the years from different countries (including South Africa, Hungary, and Thailand) who have told me how the strength of the US dollar make it nearly impossible for them to visit the US. Meanwhile, Americans who choose to travel at all do so and complain about currency exchange rates. Shame on us. What about immigration? Trump only opposes illegal immigrants, right? Well, think of the scenarios I just described above. Many families who want to leave everything they have ever known and try to make a better life for themselves and their children in America must enter a lottery. That’s right—the US federal government still sets a quota for each country (this is 2017, not 1887) , and then each country draws numbers for who gets to leave. I had always known this was the case generally, yet I had no idea the impact that this policy ritual of a scheduled “lottery” with a hard cut-off number has on people’s daily lives. My waiter in the Cairo airport told me the U.S. lottery for Egypt is next month—he is already counting down the days. He has a friend who “won” the lottery a few years ago, and was able to move to America. I would wager that most Americans are not even aware such lotteries still exist–I have to admit I didn’t know there was still an actual lottery–yet people like my waiter in Egypt literally count down to the day when these lottery drawings happen. It isn’t like all Egyptians are looking to immigrate permanently—in fact, most Egyptians I met have an immense amount of national pride, and were very hospitable, welcoming, excited to share their country, and not looking to leave anytime soon. Yet the fact is that the economic downturn and political instability have hit the country hard in recent years. Permanent immigration concerns aside, the ability to travel freely in the world remains severely restricted for many citizens of Egypt and other countries. Many simply want to visit the USA for the same reason many Americans would want to visit Egypt– to experience a different culture, learn a rich history, and take in the sites and stories for themselves. Immigration and border control is one thing. But restricting travel visas completely? That’s a different issue entirely. What can we Americans who value the freedom of movement and the benefits of travel do about it? As I alluded to above, once you realize how you’ve benefited from travel privilege, it’s hard not to feel some degree of guilt for the undeserved advantages you’ve received from a characteristic beyond your control (i.e. national origin). Yet there isn’t really anything you can do about your national origin. I think the first thing to do is maintain self-awareness of the travel privilege you experience, and then translate this into empathy for those you meet along your journeys. At the end of the day, we all share this earth together, and we are all equally curious to learn and explore. Next, work to translate this empathy into more humane visa and immigration policies through legislation and executive action on the federal level. Privilege is when you don’t have to worry about something because it doesn’t affect you directly. But whatever “it” is always affects someone directly. So let’s act now by being conscious of what other travelers are facing, and by building empathy and pushing for governmental action to make the world a more equitable place for all. A person’s ability to travel the world shouldn’t hinge simply on what passport he or she holds. Tel Aviv, meaning “hill of spring,” is the second largest metropolitan area in Israel, and encompasses the energy and future of the modern state of Israel. The “hill” represents the old, and the “spring” represents the new, and the Father of Zionism Theodor Herzl wrote about this metaphor in his book Altneuland. Tel Aviv is only 108 years old–brand new compared to the rest of the country. 1- Talk with Gadi Ezra. Gadi is currently Legal Counsel for the Ministry of Foreign Affairs in Israel, and he is an LLM alum from NYU (!) Gadi spoke with us about his experience serving in the IDF (Israeli Defense Forces) and the difficult decisions he faced while serving in Gaza in 2008. Gadi emphasized how moral obligations to humanity call for higher standards than those laid out by the Geneva Convention rules of armed conflict. After sharing several anecdotes and asking us to think critically and honestly about what we would have done in his shoes, Gadi asked us to 1-question everything, 2-fight the urge to become cynical, and 3- remain hopeful as we continue to learn and engage with these issues as law students and future lawyers. 2- Visit to Independence Hall. Here, we were able to learn the story of the Israeli Declaration of Independence on May 14, 1948. On this day, the words of Theodor Herzl, the Father of the Zionist movement, played out– “If you will it, it is no dream.” We also listened to a recording of Israel’s first Prime Minister David Ben-Gurion (who ironically was Buddhist) declaring independence. Independence Hall is located in the first house in Tel Aviv which had been converted to an art gallery. Celebrations of independence were cut short the very next day, as the brand new state was invaded by its 5 Arab neighbors, marking the beginning of a perpetual state of war and unrest. Sadly, many Holocaust survivors died defending the new state. 3- Beit Ambousa. In 1991, the state of Israel airlifted over 14,000 Ethiopian Jews who were in danger because of their faith from Africa to safety in Israel. Since that time, the Ethiopian Jews have formed a special part of communities within Israel. 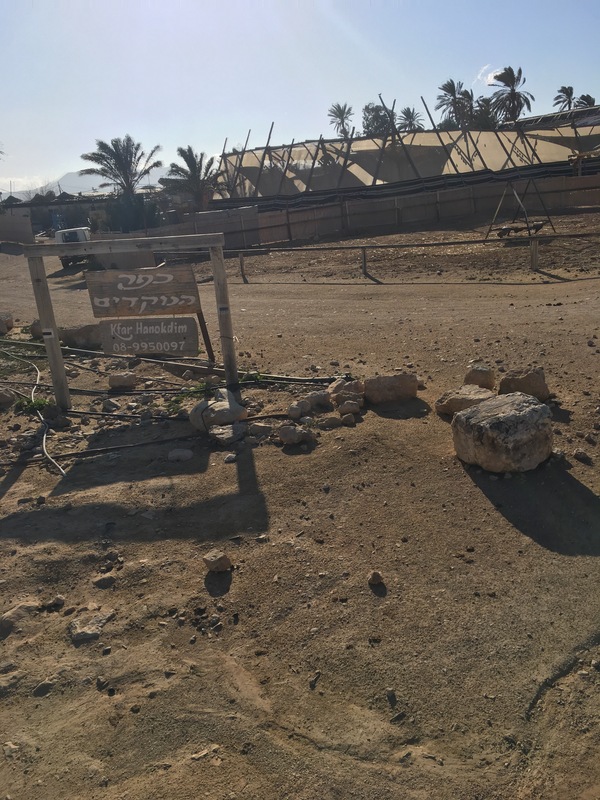 We were able to visit an Ethiopian Jewish community outside of Tel Aviv called Beit Ambousa, where we learned about the history of the Ethiopian Jews as well as their modern struggles for racial equality within Israel. My favorite part of this visit was 1-learning about how Judaism came to Ethiopia in the first place (a love affair between King Solomon and the Queen of Sheba involving a series of riddles and a son named Menelik, who visited his father back in Jerusalem and returned to Ethiopia to rule) and 2-the delicious Ethiopian lunch we enjoyed inside the home of our gracious host, complete with dabo, teff, and injera. Components of injera- teff, cabbage, lentil, potato. So delicious! These cartoon figures represent Israeli and Palestinian brothers. They embrace each other out of optimism, yet their backs are turned to represent the conflict. 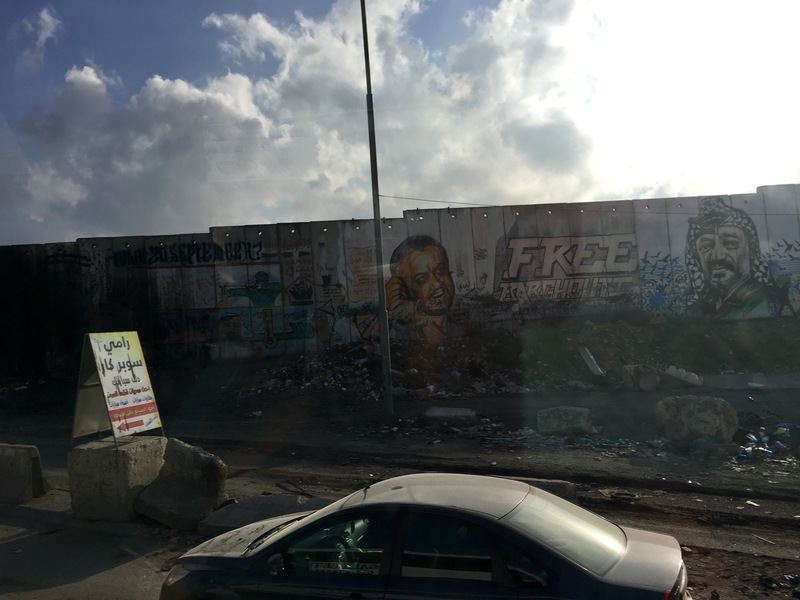 This graffiti depicts a security camera depiction of the 1995 assassination of Israeli Prime Minister Yitzhak Rabin. It has remained in place without being painted over since 1995, a rarity in the graffiti world. Every person in this mural died at the age of 27. (Being 27 myself, this was a bit unsettling…!). Each person also died of drug addictions fueled by depression, and the artist has placed an uncompleted version of himself at the end–signifying his own personal struggles yet alluding to the fact that he has found his way out of the darkness and does not belong in this group. Zim, our guide, explaining the message directed to us on the wall behind him. 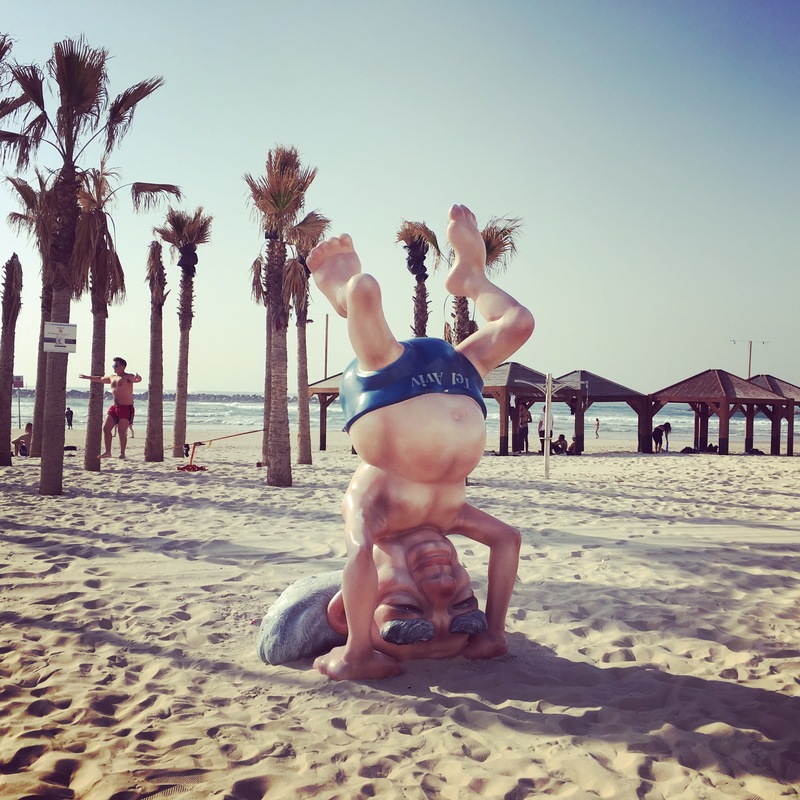 He explained there are “no hard feelings,” but Tel Avivians get annoyed with tourists in the same way New Yorkers get annoyed with tourists (haha). 5- My favorite dinner of the entire trip was at Racha, a Georgian (the country not the state!) restaurant in Tel Aviv. The owner explained the tradition of the Georgian blessing to us, which we conducted as a group and involved our NYU leader Mitch drinking an entire horn of wine! She was so fun and hospitable! Dinner ended in a dance party! 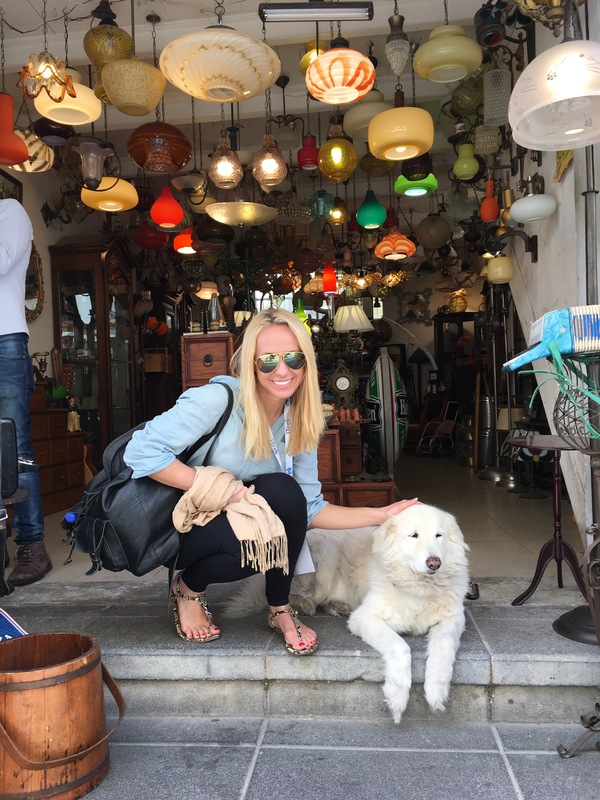 Sarah and me with Lili, the fabulous owner of Racha! Just as the verse in Ezekiel describes, I was overwhelmed (in every sense) for 7 days by all Israel has to offer. With its vibrant energy and focus on the future, Tel Aviv was the perfect place to begin and end this “mas’a” (Hebrew for trek). 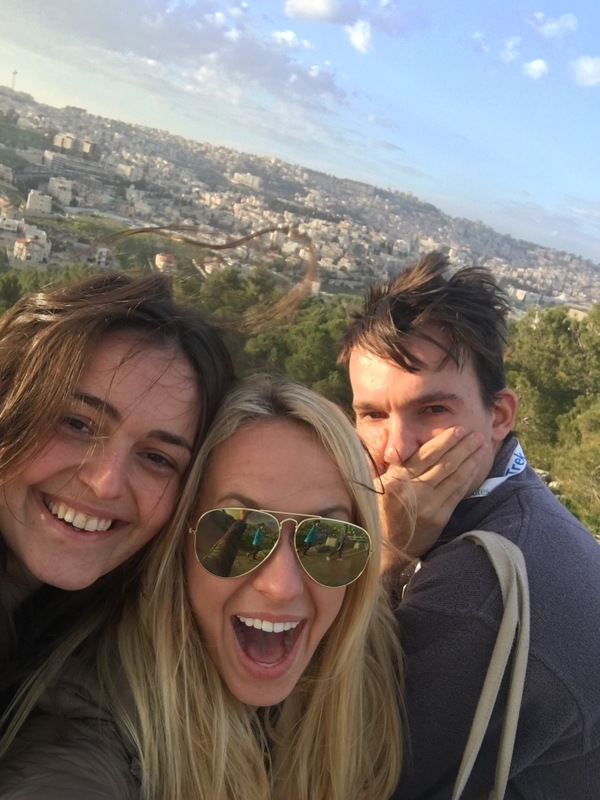 I am so grateful to iTrek and our tireless student leaders Mitch and Hannah for allowing me and my fellow law students to experience and learn about the rich culture and history of Israel and Palestine. I am also so grateful for the friendships I am taking away from this trip, which I know will shape the rest of my law school experience in a positive way. Bhargavi, Shreya, and me with Doron our amazing guide on our last night…I will miss these good people! We visited the Israeli law firm Meitar, where we learned a good deal about private law practice in Israel. Imagine my surprise when I saw this photograph in the conference room…I met this exact same couple while in Hoi An, Vietnam, last summer! The world felt like such a small place to me in this moment. 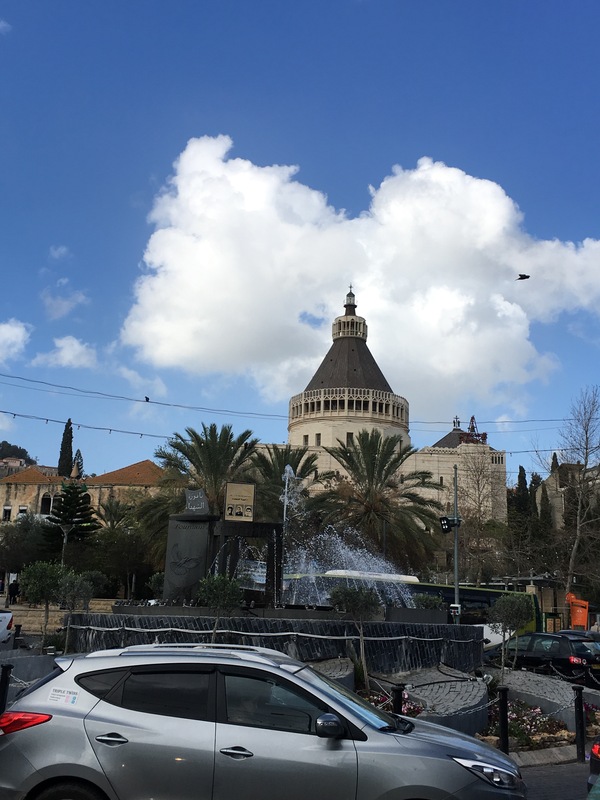 While our first day in Jerusalem had centered mostly on the ancient and religious history, our second day focused on the modern history and secular governance of Israel. **Warning: This post contains some graphic descriptions that may be upsetting. Our day began with a visit to Yad Vashem, Israel’s memorial to the Jewish victims of the Holocaust. The museum is built as a prism penetrating a mountain. Before descending into the museum (the darkness inside the mountain), we passed along a row of trees called the Avenue of the Righteous Among the Nations. These trees symbolize non-Jews who risked their lives to help their Jewish neighbors hide and flee Europe during the Holocaust. We saw the tree commemorating Oskar and Emilie Schindler, and were reminded of their story. Still, the trees represented 23,000 known helpers, and 6 million Jews were murdered. I couldn’t help but think of how many chose to look the other way as these humans were slaughtered, and feel deeply disturbed. Once we were inside, we began to learn about the Holocaust through movies, photos, and our guide. I had visited the Holocaust Museum in Washington DC in 2009, and the images, films, and piles of clothing of victims I saw there are still emblazoned in my mind. To be honest, I was nervous to visit Yad Vashem for this reason. But we can’t turn away and forget what happened–it’s our job to know and prevent this from happening again, even though we as humankind have failed so many times since then to prevent the crime against humanity of genocide (Cambodia, Rwanda, Armenia, Darfur, Syria). Yad Vashem presents the story of the Holocaust differently than the DC museum by focusing more on telling individual stories, and by maintaining a record of over 4.5 million victims as well as a database with the names of survivors. Our guide told us the story of a survivor who had not spoken about her experience in a death camp for over 50 years, because she was so traumatized. Yet once she told her story at Yad Vashem, she was told about her brother, who had also survived, and they were reunited after all this time. The last stop within Yad Vashem is the Hall of Names, where thousands of binders contain the names in print. Yad Vashem is returning the dignity of identity to the memories of the victims, yet over 1.5 million victims remain unidentified. 1-Many times, entire villages were wiped out in a single instance. In one village in Estonia, men were forced to dig their own graves before being forced to run into the grave and shot, and we saw footage of this. Because entire communities were wiped out, this means entire cultures and traditions unique within the Jewish faith and a particular region are gone forever. Because there were often no survivors, this means the world will never know the identity of all the victims of these atrocities. 2-We were able to see several artifacts that were found among the clothing remains of victims, signifying the last things they grabbed and put in their pockets as they were forced from their homes. Our guide asked us to think of these items as what the victim wished to be remembered by. I focused on a picture of a man, around 25-30 years in age, with his dog sitting beneath a shade tree. His humanity was stripped from him, but Yad Vashem is working to make sure is memory is honored and his dignity is returned to him. 3-One photograph stood out in particular to me–a young Nazi soldier laughing as he cut the long beard of a Jewish rabbi in Poland. I can’t describe the look in the young soldier’s eyes as he laughed–it was almost like there wasn’t a soul within his body. The sadness in the Polish Jewish man’s eyes stung. It made me wonder how humans can ever justify treating other humans this way and stripping them of their identity and dignity. I don’t understand. 4-One story that stood out to me in particular is the story of Petr Ginz, a young boy from Prague who died at Auschwitz. When I first learned he was from Prague, I thought back to my visit there and pictured him playing in the streets of the Jewish Quarter, where I had visited. Petr was born in 1928 and died in 1944 at age 16. Petr was an extremely gifted kid, and wrote 5 novels before his death. He also wrote for a local magazine and conducted interviews of people in the concentration camp, and he is known to have continued pursuing his studies by accessing confiscated books. He had a deep love of science. He was also an extremely talented artist, and he produced several drawings that have been recovered. Petr loved Jules Verne and dreamed of traveling to the moon–Petr would have been 41 when Apollo 11 landed on the moon. Given what we know of his aptitude, I can only imagine how he could have changed the world. But we will never know. In 2003, Israeli astronaut Ilan Ramon took Petr’s drawing of the Earth seen from the moon with him on the space shuttle Columbia. In this way, Petr’s memory was honored as a piece of his living memory was able to fulfill his dream. Sadly, Columbia broke apart on reentry and all the astronauts perished on the very same day that would have been Petr’s 75th birthday. 5-While I had made the connection before to a certain extent, I now fully understand the role of Israel as a modern homeland for the Jewish people. Yad Vashem articulates how the European Jews had nowhere to go during WW2, and were turned away and rejected from many countries where they sought refugee status (including the USA, which we have been painfully reminded of given the rhetoric around the current Syrian refugee crisis). Israel is a place that the Jewish people can always call home. One example of this is when the state of Israel air evacuated over 14,000 Ethiopian Jews in danger because of their faith from Africa to Israel in 1991 (Operation Solomon). 6- We were able to meet with a Holocaust survivor and hear her personal story. She was taken from her mother first at age 6 when they took all women and children from her village in Poland, then lived as a boy with her father to escape being taken by working in a forced-labor factory. She was then eventually separated from her father, and placed in a camp. She said the primary thing she remembers is how cold it was, and to this day the feeling of coldness brings back that horrible memory. She also described how she would eat dirty snow for water. However, this lovely lady with bright pink fingernails talked happily about her many children and grandchildren, and the wonderful life she has been able to lead. She even took a call from one grandchild in London on her iPhone as she met with us. Her positivity despite all odds was so inspiring. It also made me realize how many young women never had the opportunity to lead such a life. **Disclaimer: All Yad Vashem pictures above were taken from online, because I did not bring my phone into the museum. After a very heavy and emotional morning at Yad Vashem, we visited the Israeli Supreme Court in Jerusalem. I found it hard to concentrate after all I had taken in that morning, but nevertheless it was interesting and informative to visit such an important building in modern Israel. After a tour and Q&A session, we had the opportunity to meet with Justice Hanan Melcer. The Israeli Supreme Court has 15 justices, and 3 justices hear a case at a time. Because Israel is so small, the SC often has original jurisdiction meaning its annual docket often reaches ~10,000 cases (as compared to ~90 cases for the US Supreme Court). I thought the most interesting point Justice Melcer made was about how the Israeli Supreme Court is the part of the Israeli government most trusted by the Palestinians, as compared to the Knesset (Israeli parliament) which often passes anti-Palestinian laws. For example, the SC has ruled against the legality of some Israeli West Bank settlements, and the SC ruled in 1991 that Palestinians, as well as Israelis, were entitled to free gas mask kits being distributed by the government to defend against chemical weapon attacks. To me, this speaks to the fact that the judicial branch of any country is tasked with being apolitical and seeking justice for all. We were supposed to finish out the day at the Machane Yehuda Market, but I decided to take this time to decompress in my hotel room and make some Turkish coffee. There was just so much to take in on this day, and it was particularly draining. Yet it was very necessary to learn and witness all that we did. 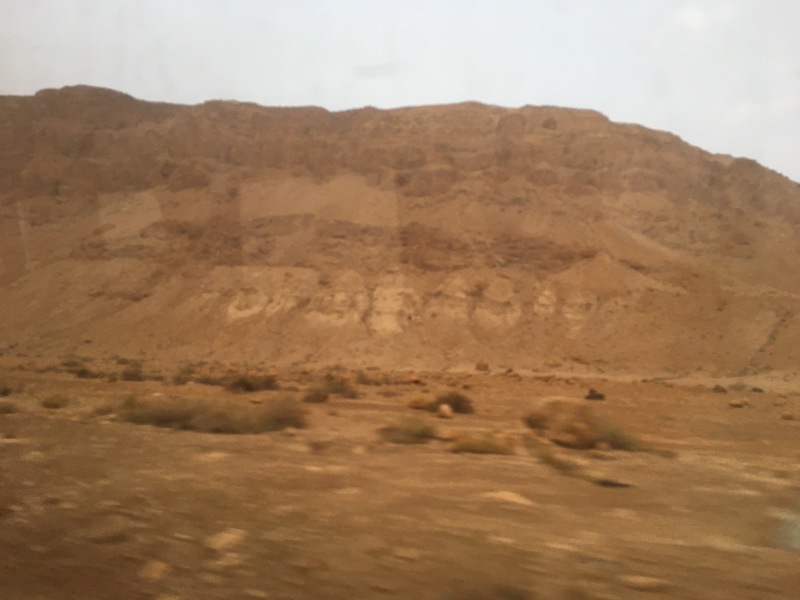 After our morning at Masada, we loaded up our bus and hit the road towards Jerusalem, one of the most anticipated stops of our trip. The city holds holy sites for Christians, Jews, and Muslims, and contains literal layers of history dating back millennia. King David designated Jerusalem as the capital city of the ancient state of Israel 1000 years before the birth of Christ. 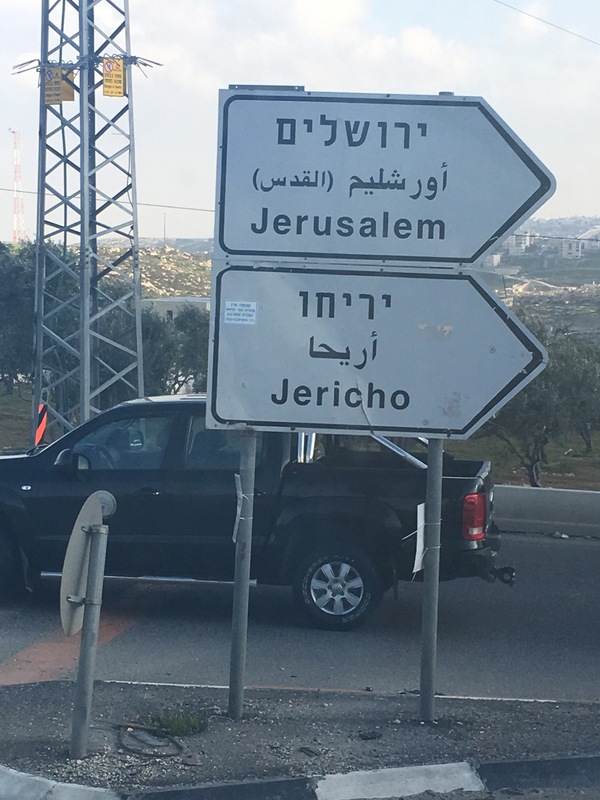 As we drove through an underground tunnel, I saw the famous skyline with the old city walls and Dome of the Rock appear as we exited the other side. I immediately understood my friend’s feelings–the holiness and oldness of the city will move you. We entered the Old City walls (which aren’t that “old” considering they were built about 500 years ago by the Ottoman empire) through the Jaffa Gate. 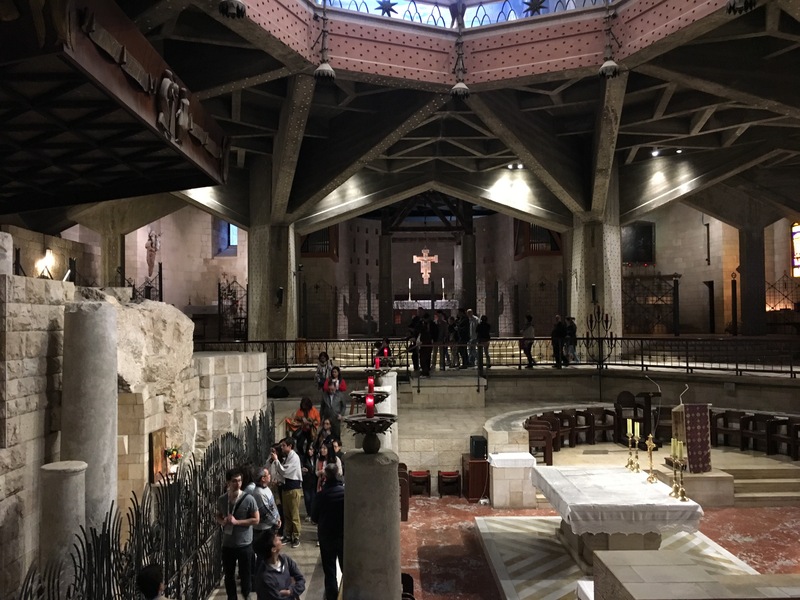 During our time in the Old City, we visited the Church of the Holy Sepulchre, the Via Dolorosa and the stations of the Cross, and the Wailing Wall. Unfortunately, our time in Old Jerusalem was cut short due to the faulty cable car at Masada and a packed schedule, but I am still absorbing all we took in during our time there. Church of the Holy Sepulchre. 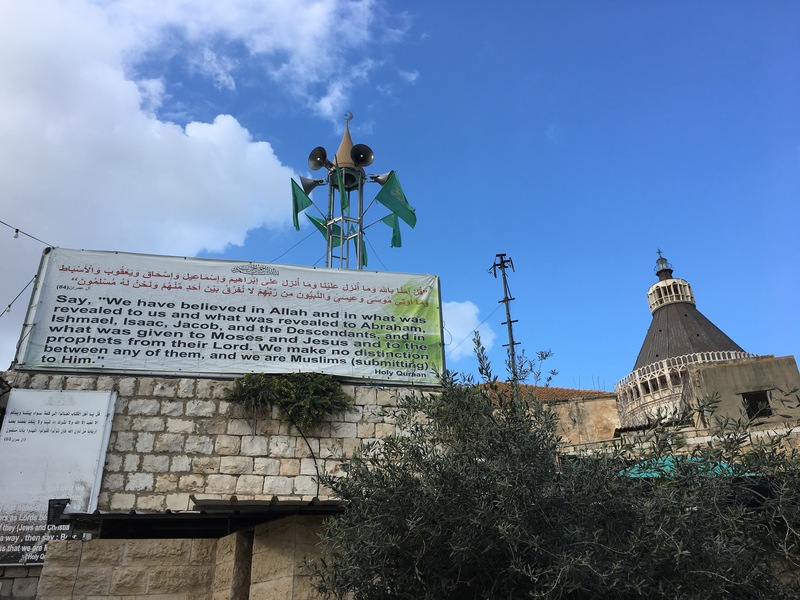 This church is built upon the place traditionally regarded as Calvary/Golgatha (the hill where Jesus was crucified) and the nearby location of his tomb. Three of my trip friends and I came directly here as our first stop during our 2 hours of free time before the group tour. Even though we would be visiting it later with the larger group, we wanted to ensure we had time to wait in line to be able to step inside the empty tomb. After waiting about an hour and 15 minutes, we were able to enter the empty tomb of Jesus. We first stood in a small foyer (maybe only 5×5 feet) where we were able to gather around a piece of the stone that was rolled away from Jesus’ tomb. 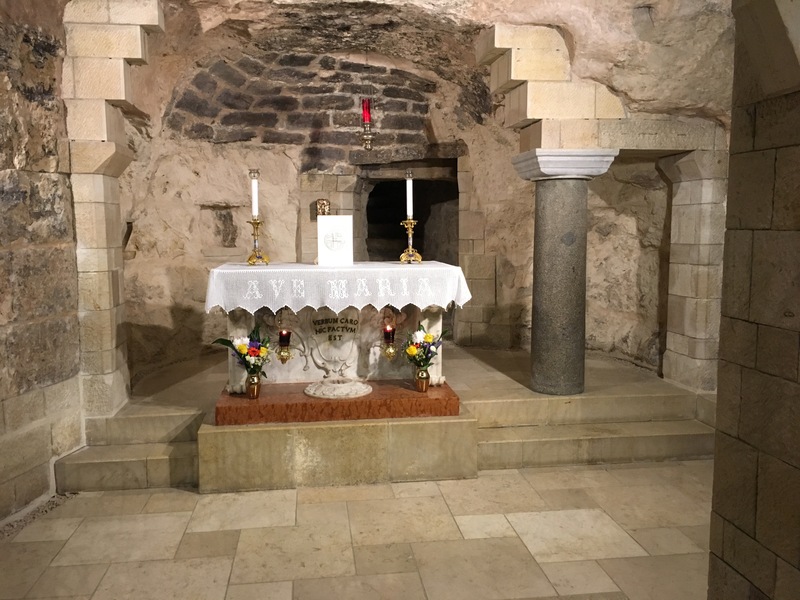 Then, we stooped to enter into a small cave which was the actual tomb, and were able to kneel before a small alter located where his body had laid. The tomb was much smaller than I had always imagined. As we knelt together, it was difficult to form any thoughts, as I was completely overwhelmed by the moment. I did not take any pictures. 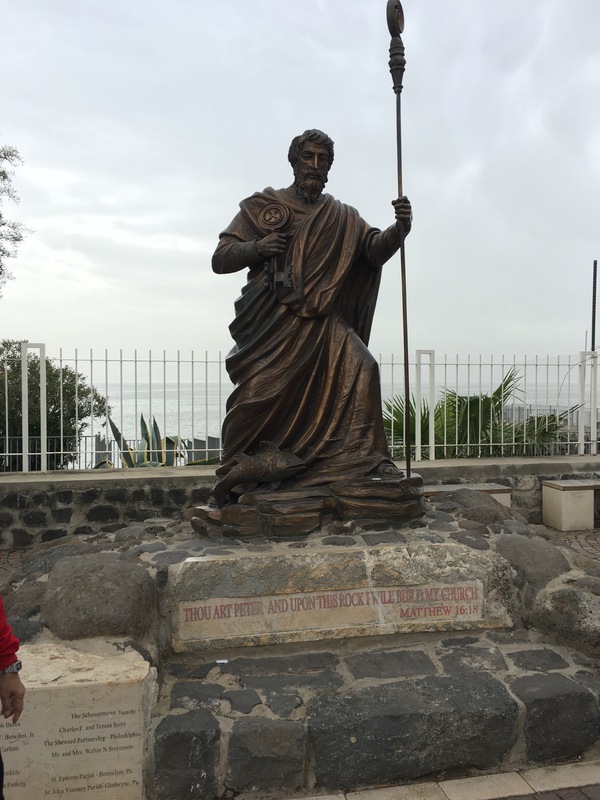 Later in the afternoon, we were able to visit the Church again with our larger group and climb the short but steep stairs to the top of Calvary/Golgatha. Here, an alter rests atop the actual stones of Calvary, which are visible in glass below. Many people shuffled on their knees to the alter to kiss where the cross is believed to have stood. I was overwhelmed with awe, and words can’t really describe what it was like to be here. Before leaving the Church of the Holy Sepulchre for the last time, I was able to touch the stone upon which Jesus’s body had laid inside the tomb. The stone is anointed with oil, and visitors are invited to rub cloth or another relic upon the stone. As I said a prayer, I touched the small stone from my time in the Judean desert the night before to this stone. Again, I felt like I didn’t deserve to be here. In this moment I felt grateful for how the story of Christ’s teachings and sacrifice transcends geography, time, and seasons of doubt, and can be both universal and personal in every sense. Via Dolorosa and the Stations of the Cross. The Via Dolorosa is the street along which tradition holds Jesus carried his cross to Calvary. In that time, the Via Dolorosa and Church of the Holy Sepulchre would have been outside the main city center of Jerusalem, even though they are now within the “Old” City walls. We were a bit rushed as we moved along the road from station to station, given our time and schedule constraints. This was the only moment on the entire trip I wished I had traveled here alone–so I could take in the gravity of this place without feeling like I was running down the street. 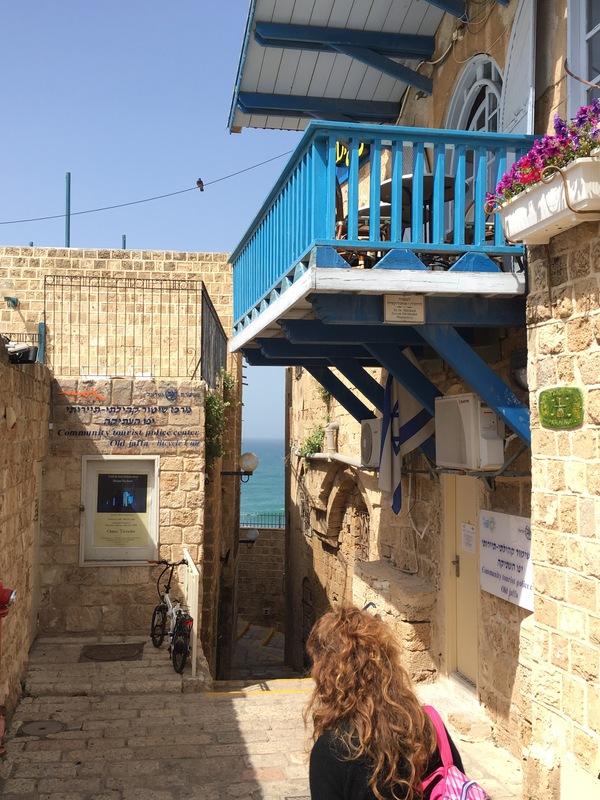 Nevertheless, it was a meaningful experience, and Doron did a great job explaining each of the “stations”–places along the street where various things happened as Jesus carried the cross (for example, the three times Jesus fell with the cross are represented by three different stations). Wailing Wall. Our last stop in the Old City was the Western Wall, also known as the Wailing Wall. This is a holy site in the Jewish faith, as it is the only remaining part of the temple built by King David and King Solomon. The wall represents the holiest place where Jews are permitted to pray, with the holiest place of the faith (the Temple Mount) located just beyond (where the current Dome of the Rock – the mosque marking the place where it is believed the prophet Mohammed ascended to heaven in the Muslim faith – stands). Men must enter and remain on the left side of the wall, while women must enter and remain on the right side. The left side is about twice as long as the right, so the side I visited was relatively crowded. Before entering, we each washed our hands 3 times at the basin just outside the gate while Hannah recited the traditional Jewish blessing for us. Upon entering, I was immediately humbled by the devotion and reverence I felt around me of those women praying and reciting the Torah. Some were moved to tears. I found a small piece of paper in my bag and wrote my prayer to God, then worked my way slowly through the crowd so I could touch the wall and leave my paper with the thousands of others. To leave the wall, you must walk backwards without turning your back to the wall out of respect and reverence. As I walked backwards, I saw a young man who looked like a lost tourist enter on the women’s side and take a seat at one of the many lawn chairs scattered across the way. It took him about 30 seconds to realize his mistake, at which point he jumped up and left with a bewildered look on his face. I couldn’t help but laugh a bit. After an extremely long and fulfilling day, we enjoyed an amazing dinner at Chakra and a night out before gearing up for our second day in Jerusalem (next blog…Yad Vashem and the Israeli Supreme Court). 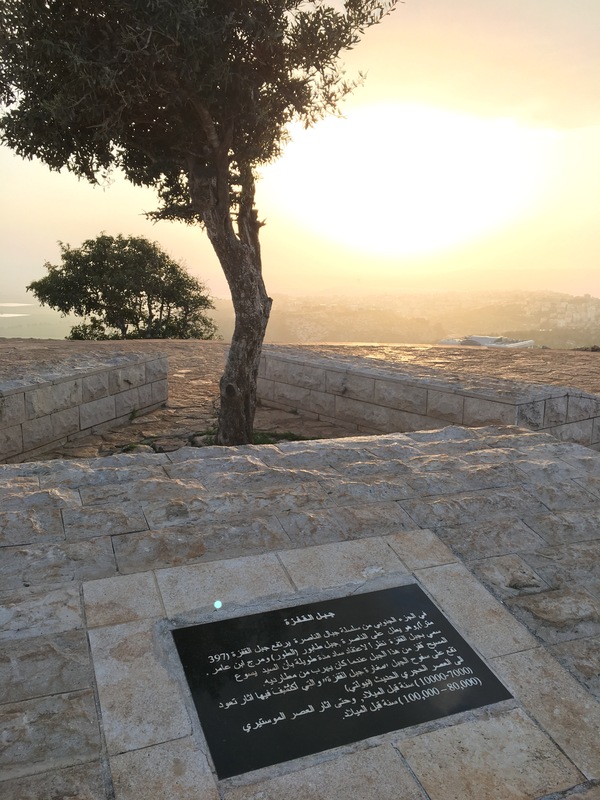 I regretted we did not visit any of the Muslim sites and that I didn’t have a chance to visit the Garden of Gethsemane at the Mount of Olives, but hopefully I will be able to travel here again someday! I found an unexpected piece of home in the Old City! Palestine. What do you think of when you read this name? Violence? A nation that has been shunned and forgotten by the modern world? Checkpoints and walls? Terror? Nothing stirs strong, visceral emotions and reactions from both sides quite like a discussion about the Palestinian conflict. Before I got off Facebook a few months ago, I would consistently see Pro-Israel and Pro-Palestine opinions pop up on my newsfeed. And I would grow frustrated. We as Americans tend to be misinformed and underinformed about this conflict. One reason I wanted to visit Israel with NYU Law iTrek was to look at this issue for myself, with my own two eyes, and further understand before I sought to be understood. 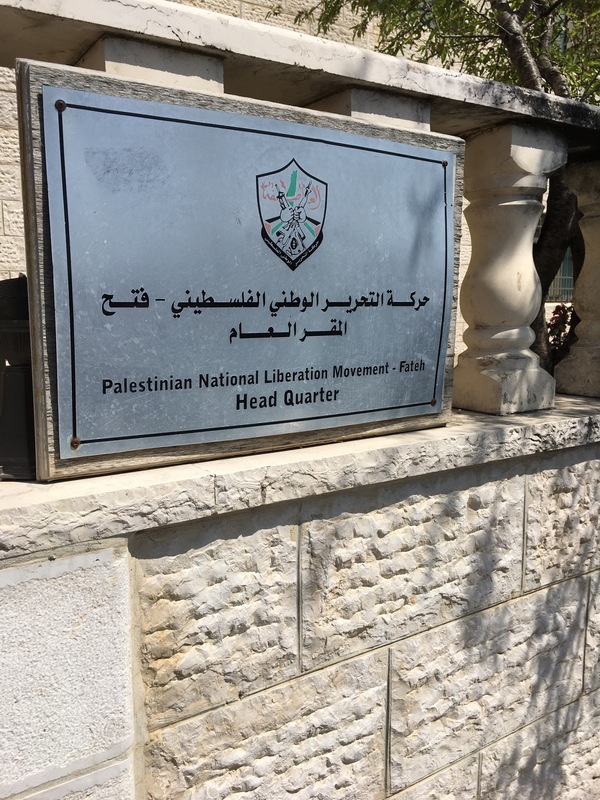 After spending a day visiting Ramallah in the West Bank and meeting with Palestinian Authority leaders and some locals, I understand a little more about this complex issue. But I now realize I’ll never fully understand. Early Wednesday morning, we loaded our bus for the drive from Jerusalem to Ramallah. We arrived in the West Bank after passing through the checkpoint. 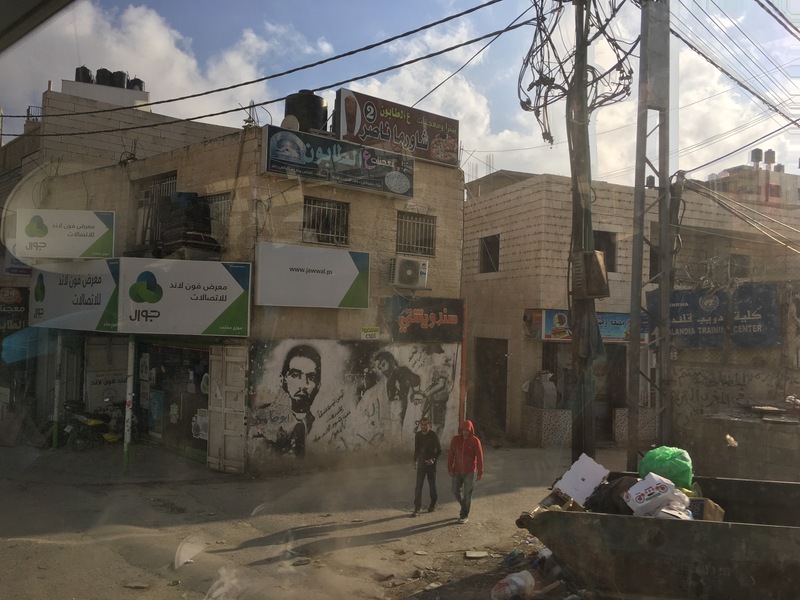 My first impression–entering the West Bank definitely felt like leaving Israel. 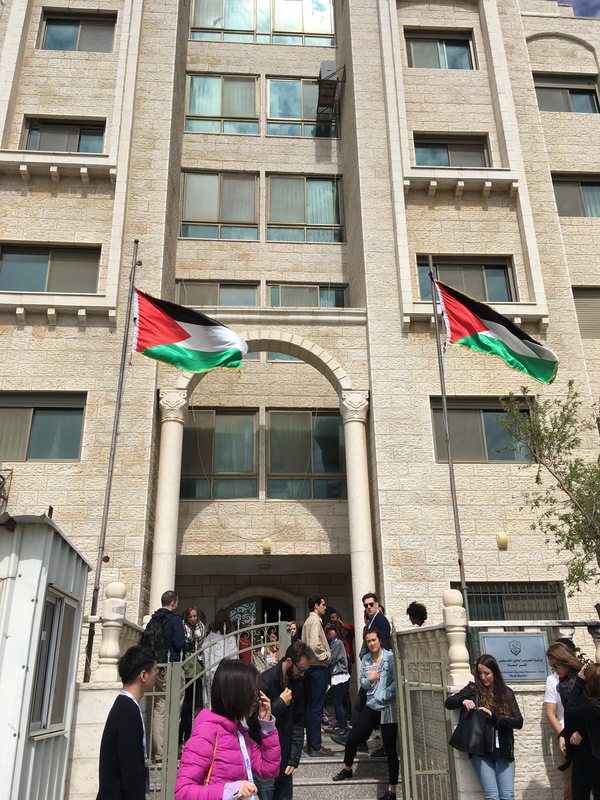 Palestinian flags and Arabic replaced Israeli flags and Hebrew. Our first stop was at eZone, a tech startup space supporting local entrepreneurs in Ramallah. Our local Palestinian speaker shared with us about how the tech industry is working to lower the 42% unemployment rate in the West Bank. So why is the unemployment rate so high in the West Bank? And what is the West Bank exactly? The West Bank is the area of land just west of the Jordan River that was not included in Israel’s original 1948 boundaries, but has been occupied since Israel seized the land from Jordan in 1967. In 1993, the Oslo agreement divided the West Bank into 3 parts- A territory (cities like Ramallah governed by the Palestinian Authority), B territory (areas outside cities that are governed by both PA and Israel), and C territory (all other areas outside the cities governed by Israel). This means a map of the West Bank looks like Swiss cheese, with the holes being Palestine and the cheese being Israel. Despite the agreement, the land continues to be disputed. To add to the tension, Israelis continue to move into the West Bank to establish “settlements,” pushing the Palestinians further into their “holes” and often confiscating property of Palestinians in the process. Since Oslo, the number of settlers has increased from 160,000 to 670,000. 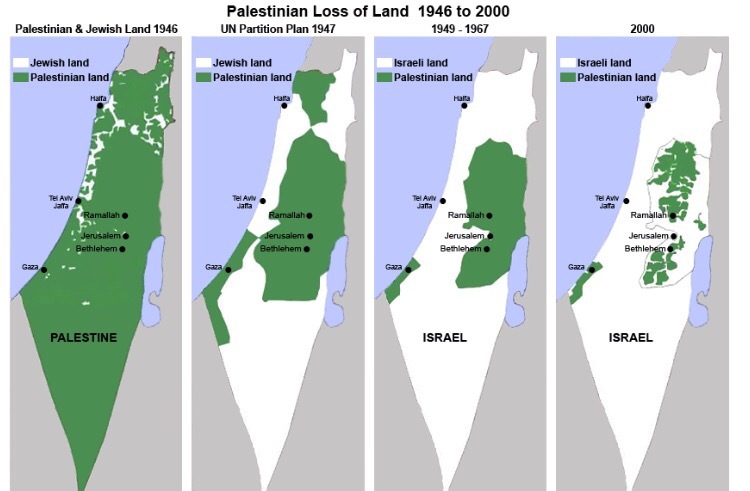 Some settlements have been ruled illegal by the Israeli Supreme Court and have been condemned by the UN, yet some Israelis continue to move in for three key reasons–1) to claim the West Bank as part of the land promised to them by God, 2) to make a two-state solution less realistic by making the political map even more splotchy and pushing Palestinians away, and 3)to take advantage of the cheaper real estate prices and close proximity to Jerusalem and Tel Aviv. The Fateh party we met with is not to be confused with Hamas, the terrorist group elected to power in the Gaza Strip, which is another disputed Palestinian territory located in a different part of Israel. Hamas uses the anger and frustration many Palestinians feel about their sub-citizen status to fuel hatred and violence. The leaders today shared that they were happy we could visit for ourselves and see that they were not the violent, irrational figures the media so often portrays. The people I met today seem concerned about protecting their people’s human rights and building better opportunities for Palestinian upward mobility in their homeland. 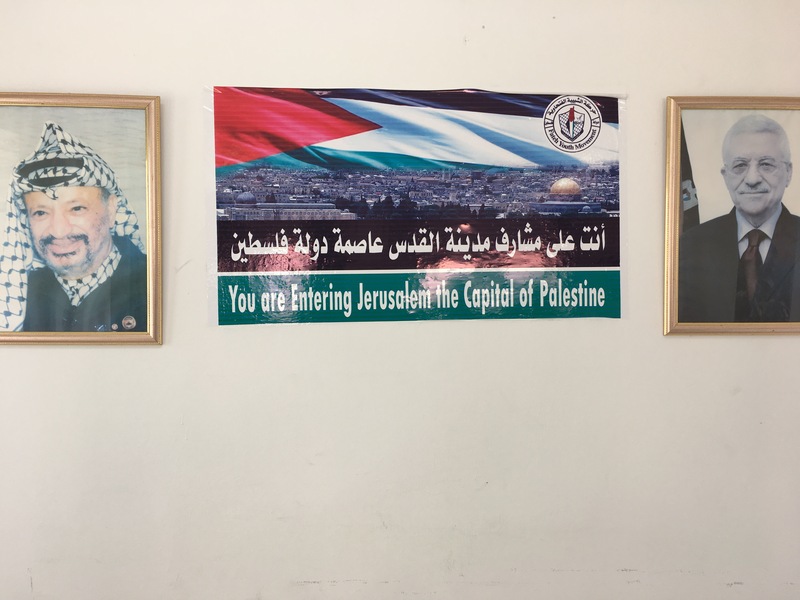 Yet several of the locals we spoke with did not hold back in sharing their frustrations with the Palestinian Authority and its failures to adequately represent their interests. Corruption also continues to be an issue within the Palestinian government, adding to the perfect storm of Palestinian troubles. The activist we met with over lunch shared her frustrations with us as well. 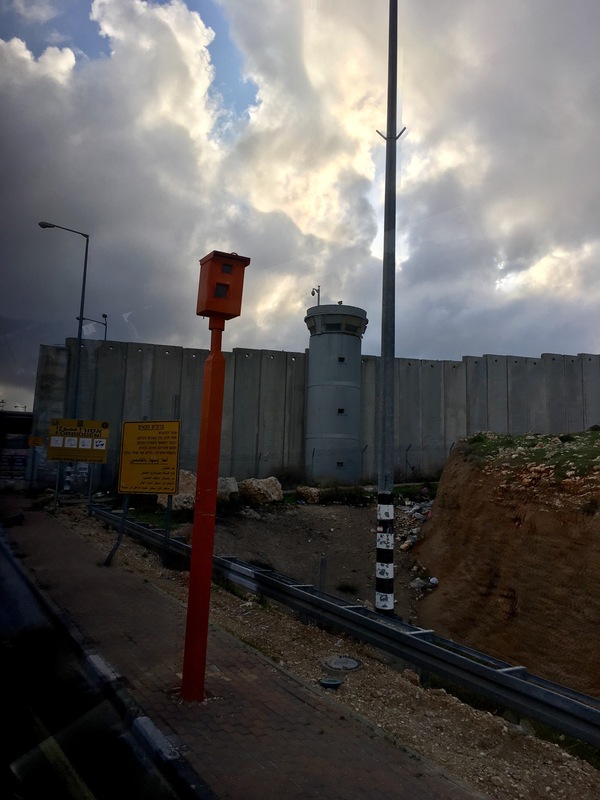 A Palestinian cannot leave the territory without going through a checkpoint and risking losing their citizenship if they travel for too long or if their travel is not pre-approved. (“Every day I leave my house, I have to waste 45 minutes at a checkpoint, putting my life in the hands of an 18 year old soldier,” she lamented.) Palestinians have no voting rights, and the Israeli army is a frequent presence throughout all areas of the territory. Yet this activist said maintaining optimism is her primary tool to stay strong. After the U.S.’s recent vote in the UN regarding the settlements (which was seen by many as not “standing with Israel”), Secretary of State John Kerry said Israel–under a single state solution–could either be a Jewish state or a democratic state, but not both. I was horrified to see on Facebook that someone I know called him and all Obama voters “anti-Semitic” for this rational comment. Here are my takeaways and why I agree with Kerry’s statement. Israel was formed to be a Jewish state. Considering the tragic and horrible history of the Jewish people, I believe it is appropriate and justified for the Jewish people to have a homeland where they will always be welcome. This is the beautiful country of Israel. But Israel is not now truly democratic– it rules the Palestinian people, yet does not give them voting rights. If Israel gives the Palestinians voting rights, then Israel will not be a Jewish state anymore, as Arab Muslim voters would then dilute and possibly outnumber Jewish voters. This is a catch-22, and rhetoric that typecasts those who try look at the issue realistically and rationally is extremely harmful. I’m not ready to seek to be understood yet, as I’m still seeking to understand. But today, I did realize you can be pro-Israel and pro-Palestine. Every people has a right to self-determination. Every human has a right to freedom of movement and control of their own property. I hope a peaceful solution can be reached. In the meantime, I’m holding on to hope that we all learn to treat each other better here on earth. 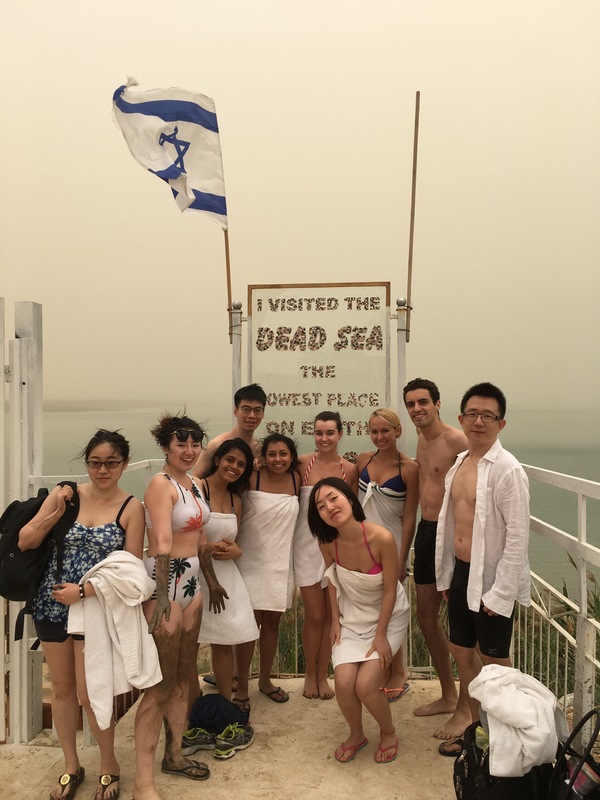 Dirty and relaxed from the Dead Sea, NYU Law iTrek spent Sunday night getting even dirtier at a Bedouin campsite in the Judean desert. Deserts are mystical places, and I had been looking forward to this part of the trip in particular. Area where they found the Dead Sea scrolls! We arrived after a bumpy ride from the Dead Sea and settled into our tent (all ~45 us slept under the same “roof”!) before enjoying a delicious traditional Bedouin meal. Following the meal, we gathered around a fire in the hospitality tent and enjoyed Arabic coffee while learning more about Bedouin culture. Then, a group of us left the campsite and set off into the emptiness under the full moon for a period of meditation. After gathering in a circle, each of us set off to our own spot in the desert. I found a nice flat rock to use as a pillow and leaned back to gaze at the stars, allowing my mind to completely open up. I picked up a small stone to hold in my hand as I reached out to God and connected with my surroundings. As I laid in the very desert where Jesus was tempted for 40 days and nights, and where Moses and his people wandered for 40 years, I couldn’t help but feel small, undeserving, and immensely grateful for the opportunities and lessons of the past year. I thought about my own wandering and temptation. I found myself thinking and praying, until I heard Doron call us back together into a larger circle. The rest of the night back at camp involved wine, a bonfire, s’mores, spontaneous singing around the campfire, and deep conversations. No wifi, just each other. I ended up finally going to bed around 4am. 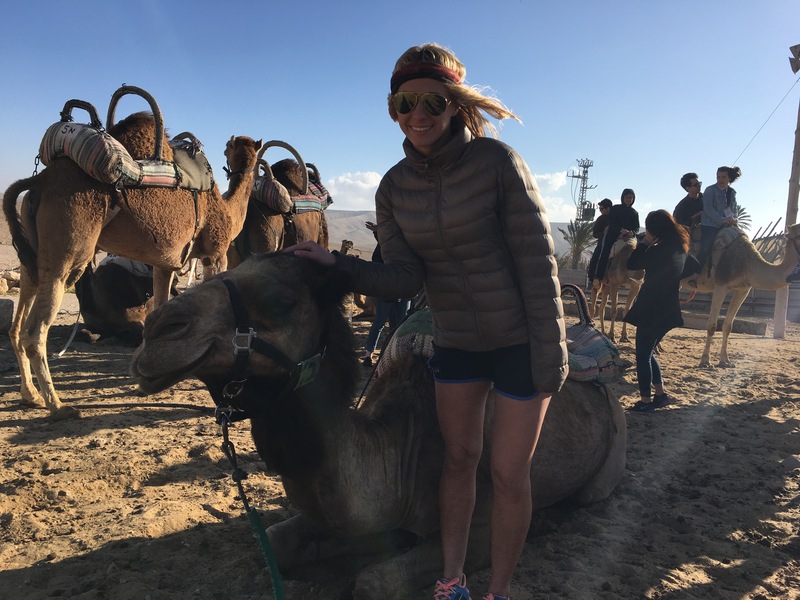 We all woke up a few hours later for an early morning camel ride through the desert–tracing back over the spot where I had meditated the night before. I had accidentally ridden a camel the day before at the Dead Sea (I was just supposed to be taking a picture, but the camel started standing up all of the sudden)! 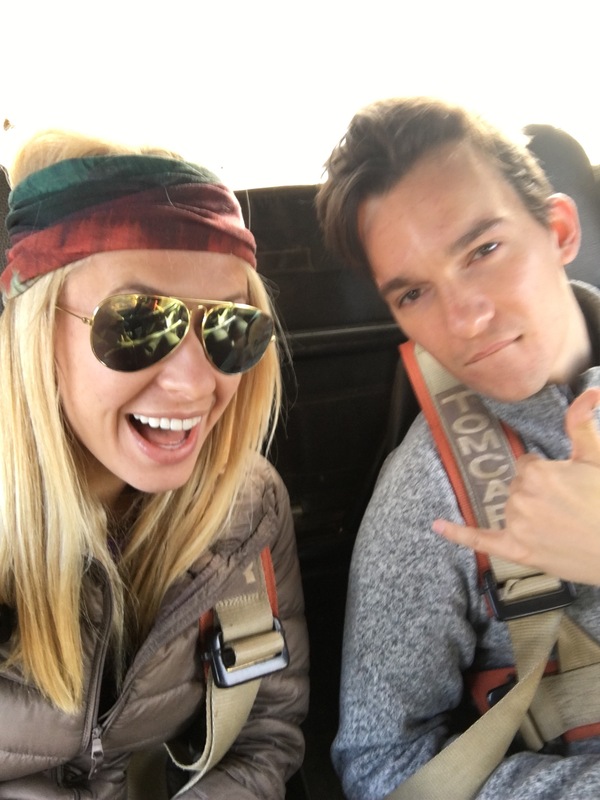 My second camel ride ever went a bit more smoothly. Mahmoud, my camel, was a joy to start the day with! 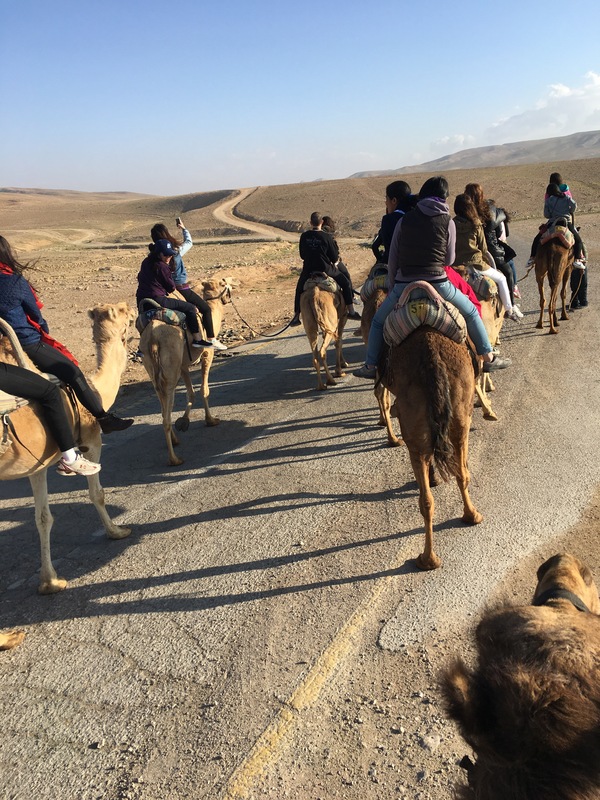 After our camel ride, we left for Masada, where we spent the morning hiking and learning about its history from Doron. Masada is a fortress that overlooks the Dead Sea, and Herod built a few palaces for himself atop the fortification. The Romans sieged Masada in 73 AD. 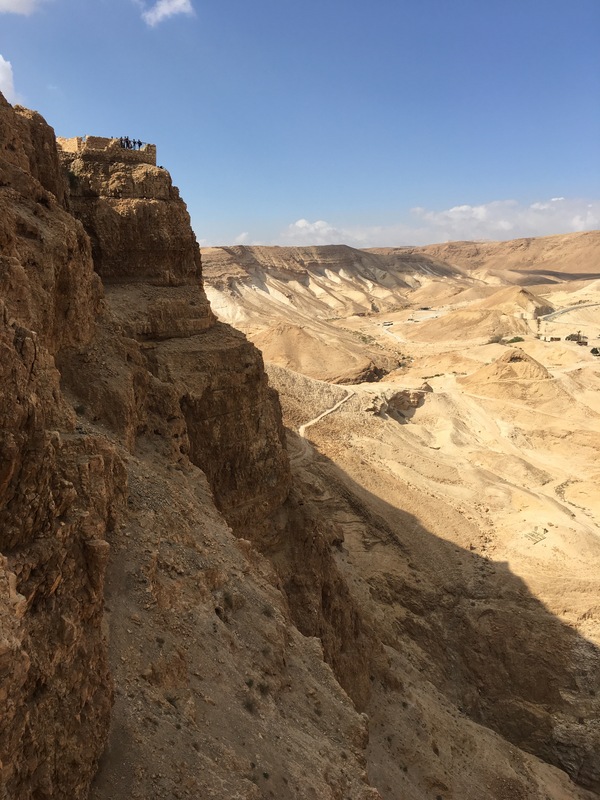 Faced with violent defeat, 960 Jewish men, women, and children committed mass suicide within the walls of Masada to avoid a cruel future at the hands of the invaders. 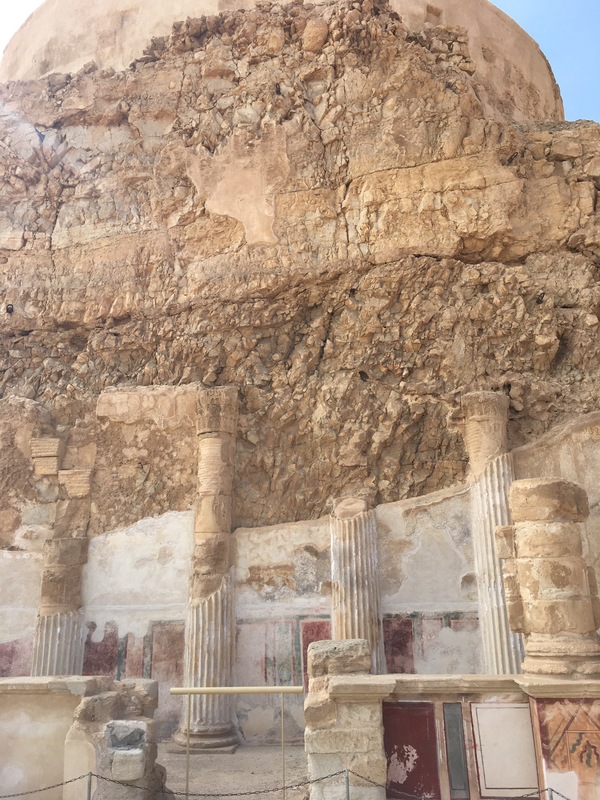 Masada has become a symbol of unity for the Zionist movement and the nation of Israel in the last few centuries, and was declared a UNESCO world heritage site in 2001. “Masada shall not fall again” has become a mantra used by the Israeli army. 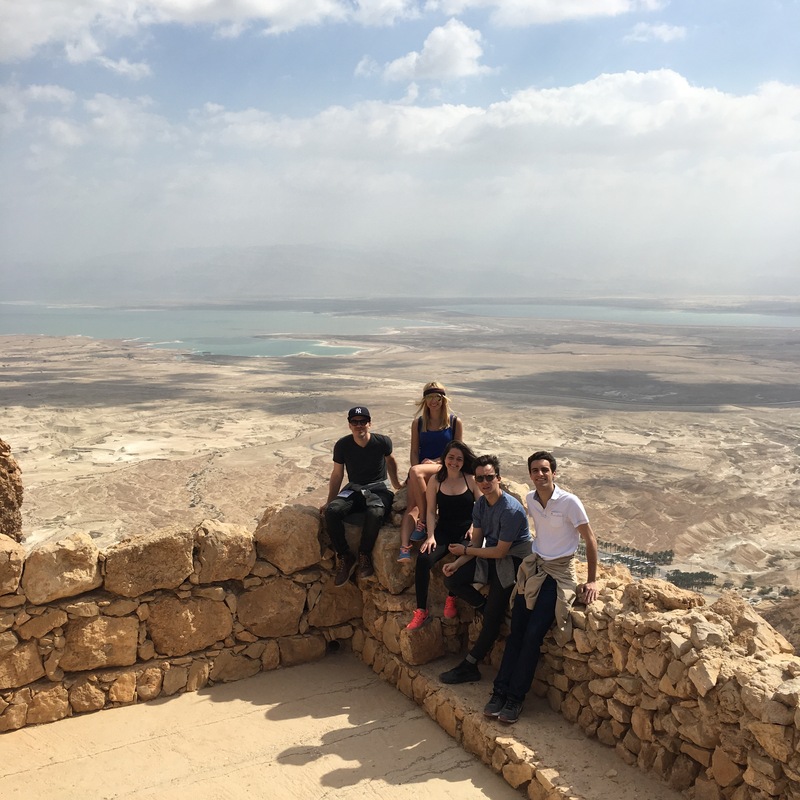 Besides viewing the ruins and learning the history, we were able to soak in stunning views of the Dead Sea and the hills of Jordan in the horizon. 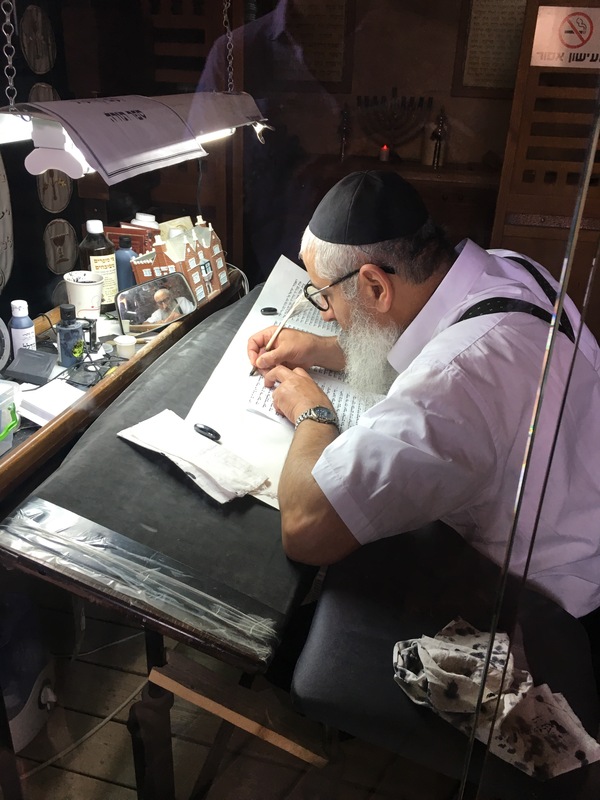 A rabbi also works diligently and continually to transcribe the Torah at the site. Masada is extremely steep, and we planned to take the cable car back down after climbing up the Roman ramp. However, the cable car was broken! We set off down the snake path under a scorching sun, finally reaching the bus after the equivalent of 52 flights of stairs. My legs are still sore! The mystery of the Judean desert provided more than I could have thought to ask for. As one friend shared after our meditation, our existence is highly improbable (from a scientific perspective) and highly miraculous (from a spiritual perspective). You are the only you that will ever exist, and I am the only me that will ever exist. The rich emptiness and expanse of the desert provided the perfect backdrop to allow these realizations to reverberate and settle. One unexpected blessing of this trip has been getting to know fellow NYU and Israeli law students. At school back in New York, it’s often difficult to get to know others on a deeper level. But that has been a constant theme of this trip, and I feel it was also one of many of the desert’s surprises. 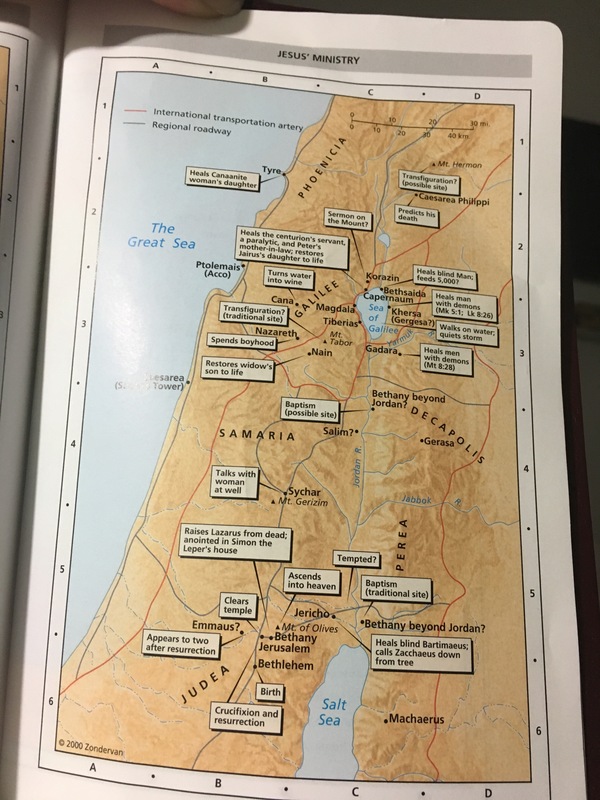 Knowing the next day would take us along the Sea of Galilee, down the Jordan, and to the Dead Sea, I spent Saturday night in the kibbutz brushing up on some New Testament geography and catching up on much needed sleep. The next morning, we loaded up our bus at 645am and set off to Merom Golan. Here, we met up with Miri Eisen, a retired colonel in the Israeli army and security expert. We loaded up a fleet of ATVs and set off toward the Syrian border. 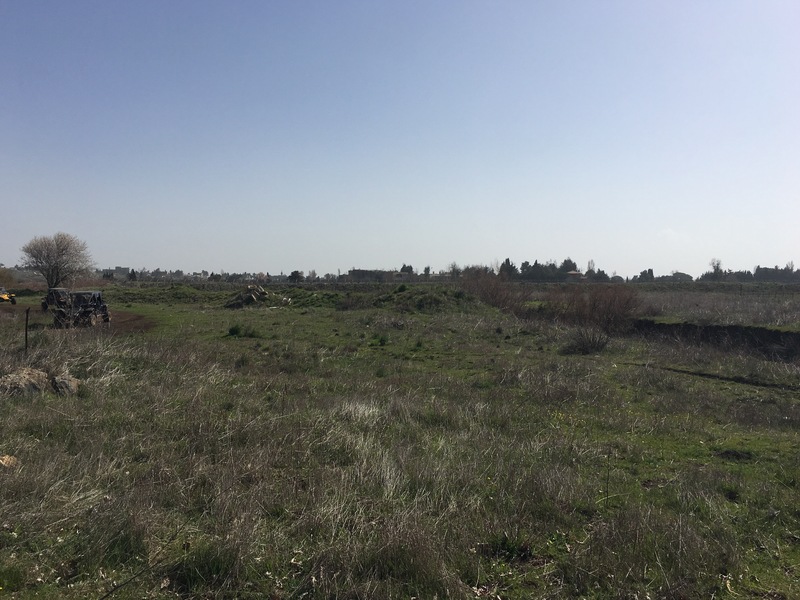 Our ride took us even closer to the Syrian border, and at one point we were within “field goal distance” (American football term… about 30 yards) of the fence separating Israel and Syria. At this point, we had reached the demilitarized zone (DMZ) between the two countries. 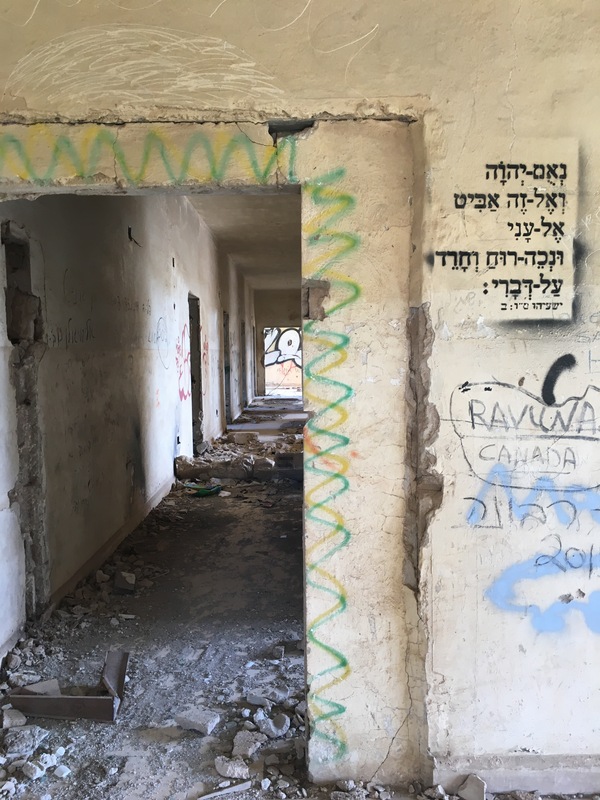 We parked our ATVs at a bombed abandoned hospital and climbed to the roof, where we looked out across Syria and listened to Miri’s talk on Israeli border security and the current Syrian civil war. Syria and Israel have been in a state of war since Israel’s independence in 1948. In 1967, Israel claimed the Golan Heights and established the current DMZ where we now stood, just yards away from Syria. The UN has a monitoring station located right at the border on the Israeli side, and its mandate is renewed by both Israel and Syria every 6 months at the UN. Although Syria is still represented by the Assad regime at the UN, the land within our eyesight is now controlled by Syrian Al-Qaeda, just one of the many factions fighting for control in the Syrian civil war. 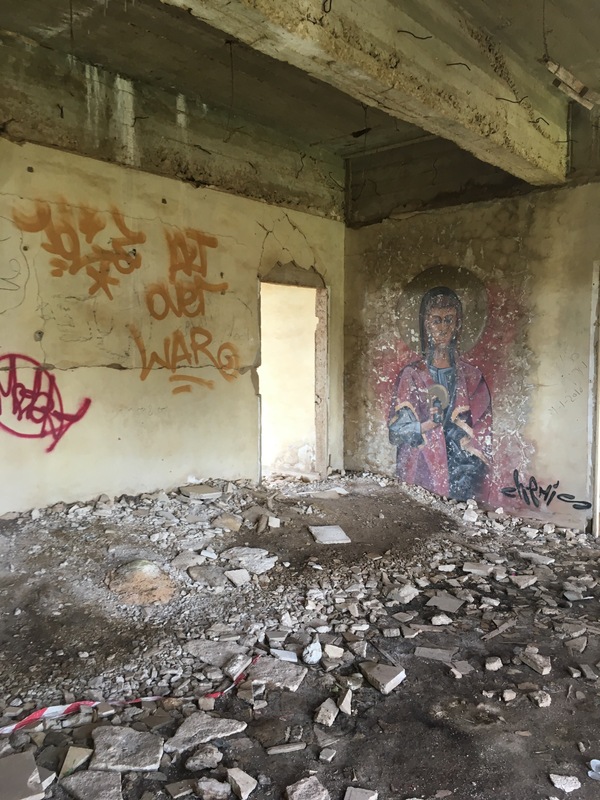 Miri said sometimes the fighting is audible from the point where we stood on the abandoned Israeli hospital. While Israel accepts no refugees, they give free medical care (no questions asked) to anyone presenting themselves at the border. Miri says Israel has provided about 3,000 Syrian soldiers with medical care in the last decade– the vast majority being young men between the ages of 18 and 25. 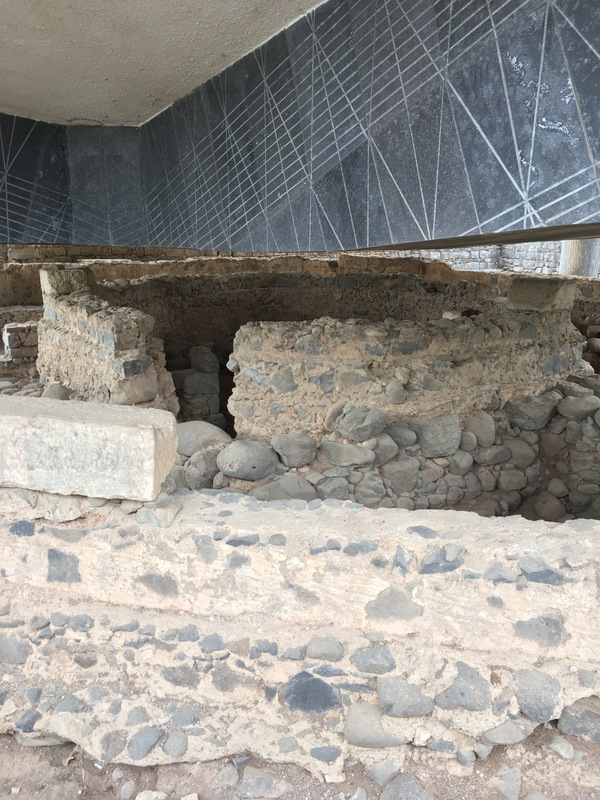 After this sobering visit, we loaded our bus and continued on to the ancient city of Capernaum. 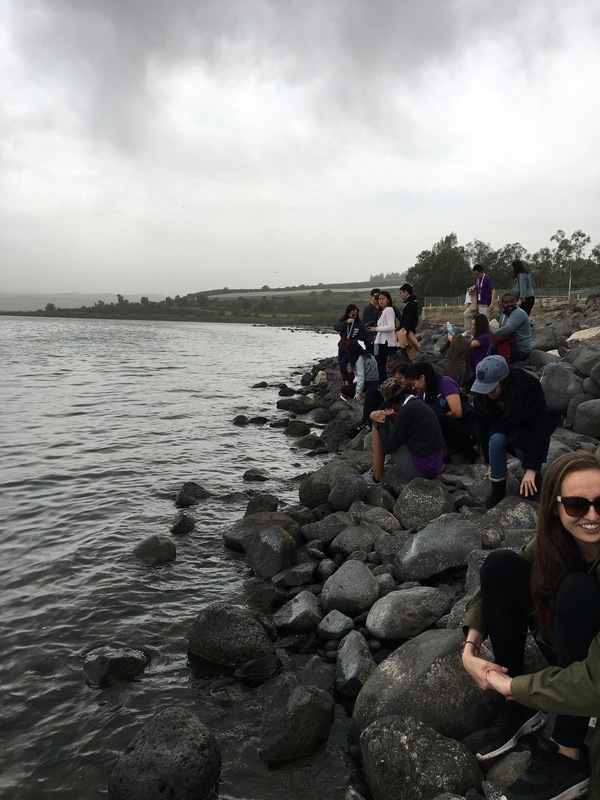 Doron (our amazing guide) told us this city, located on the Sea of Galilee, is known as Jesus’ headquarters, and is the location for many of the Bible’s best known miracles– walking on water, healing, multiplying the fish and loaves, and calming the storm. 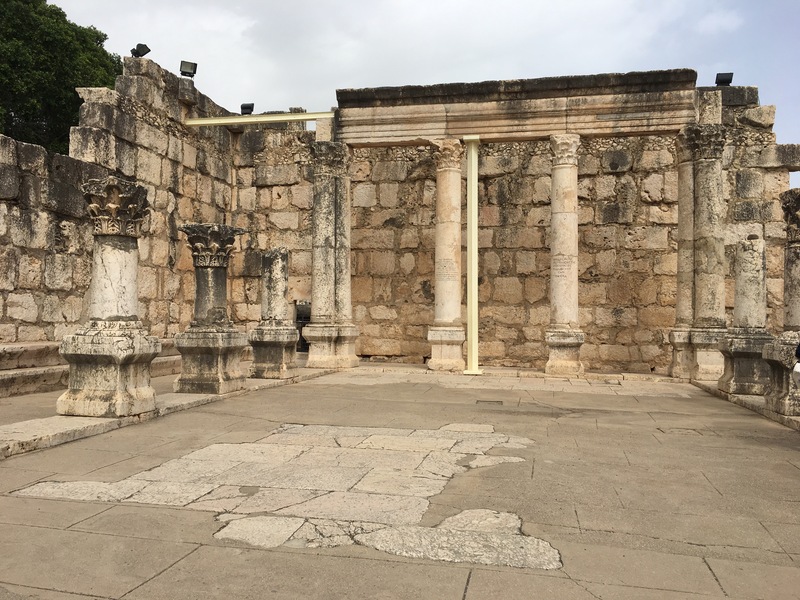 The ruins of a synagogue from the 5th century are located at the spot where the synagogue stood in Jesus’ time, and you can see some of the very stones where Jesus most likely walked when he visited this synagogue and performed the healing of the crippled man. 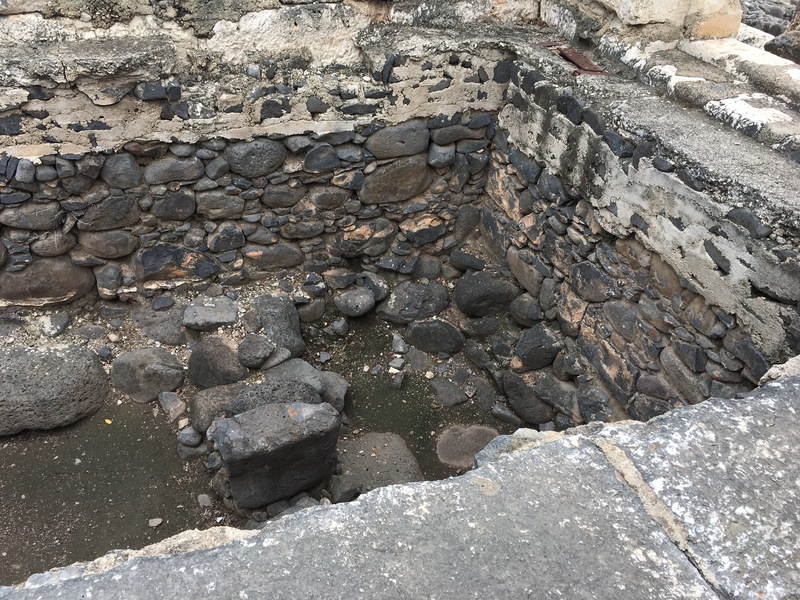 These stones are believed to be the remains of the synagogue Jesus frequented in Capernaum. 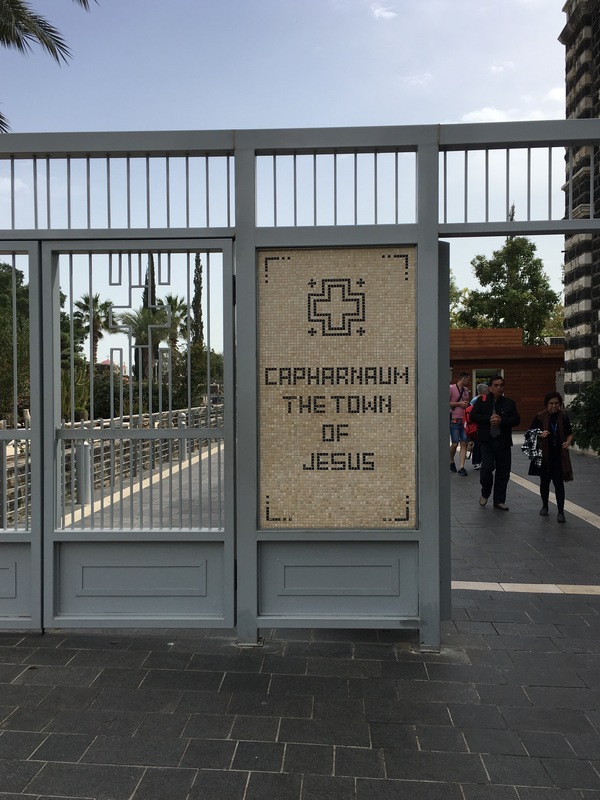 Capernaum also houses the traditional location of Peter’s house, which has had two churches constructed around it in the ensuing centuries. You can still see the ruins of his alleged house (below). 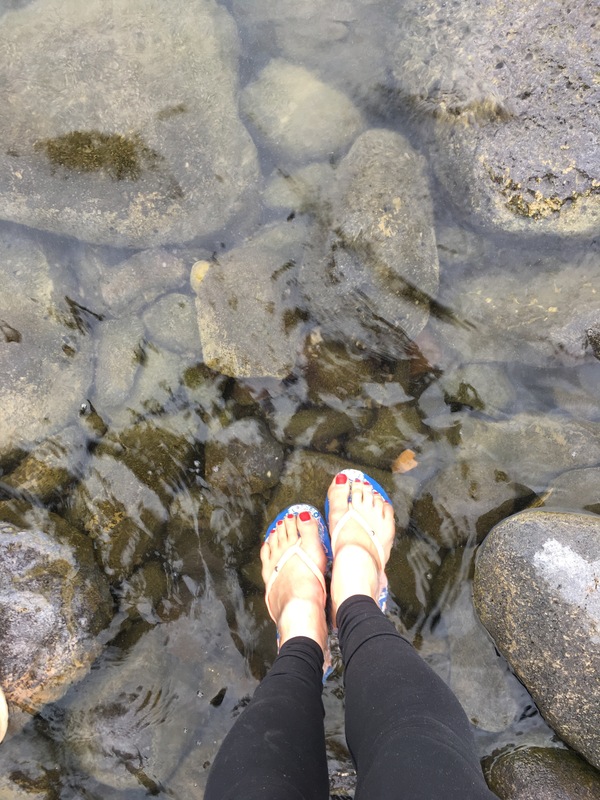 As I placed my feet in the very waters of the sea where Jesus performed several of his miracles, I felt a deep sense of wonder, peace, and gratitude. We also enjoyed skipping stones on the sea (which is really the size of a lake!) as well as taking in the undisturbed, undeveloped views surrounding us. After having lunch nearby (the food here is amazing… hummus at every meal! ), we continued on through Tiberius and south along the Jordan to the Dead Sea. The Dead Sea was hazy, salty, and wonderful. Everything I had ever heard about it was true… you really do float without even trying! I think the unexpected surprise was the full body mud treatment we all got for free. My skin felt so soft afterward, and I wish I could bottle up some of the mud and take it with me! I guess if I want a similar experience back in NYC, I can go to a spa and spend $100+…haha. Today has been full of amazement after walking the very same streets and shores that Jesus walked, but also full of heartbreak and sadness after seeing the devastation of perpetual war and death along the Syrian border. Israel is a land of a special kind of complexity, and always has been–and that’s an understatement. There are and will continue to be more questions than answers. John 21:1-9: “Afterward Jesus appeared again to his disciples, by the Sea of Galilee.It happened this way: Simon Peter, Thomas (also known as Didymus), Nathanael from Cana in Galilee, the sons of Zebedee, and two other disciples were together. “I’m going out to fish,” Simon Peter told them, and they said, “We’ll go with you.” So they went out and got into the boat, but that night they caught nothing. Early in the morning, Jesus stood on the shore, but the disciples did not realize that it was Jesus. He said, “Throw your net on the right side of the boat and you will find some.” When they did, they were unable to haul the net in because of the large number of fish. Greetings from Israel! After 13 hours of flying, I arrived in Tel Aviv on Thursday just before midnight and made my way through security. Since I arrived a night before the rest of the NYU group, I had booked a night at the Beachfront Hostel–located right on the beach with an amazing rooftop patio. The next day was full of exploring, laying on the beach, and meeting up with the iTrek group from NYU at our hotel, also located on the beach. 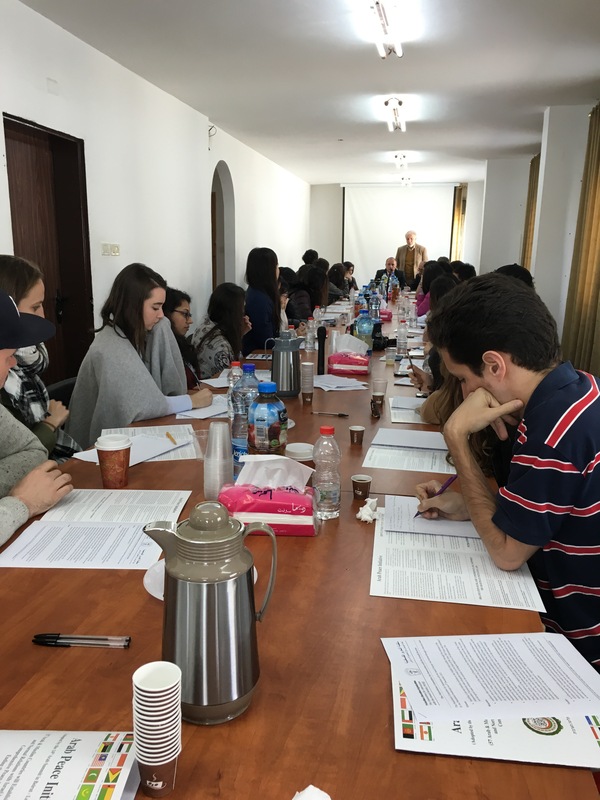 ITrek is a program that sponsors trips for law students to visit Israel and become informed about the many complex issues that face the country and region first-hand. 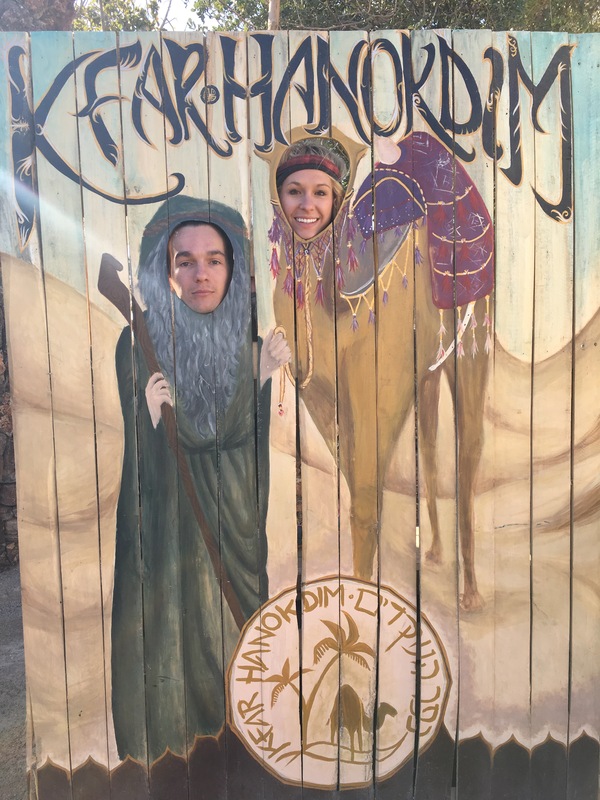 I am fortunate enough to be traveling with NYU’s iTrek over my spring break. Our group has 42 students across the JD and LLM program at NYU Law, many from other countries including the USA, China, Chile, Mexico, India, and of course Ireland! After a late night exploring the bars and beaches in Tel Aviv, we woke up bright and early for our first group meeting at the hotel with Tal Schneider, a political journalist covering Israeli and US politics. Tal explained the complexities of domestic Israeli politics, and discussed how Trump’s unclarity regarding his position on the Israeli-Palestinian conflict may play out in the current global political climate. You can read Tal’s work at Huffington Post and Haaretz, and also here. 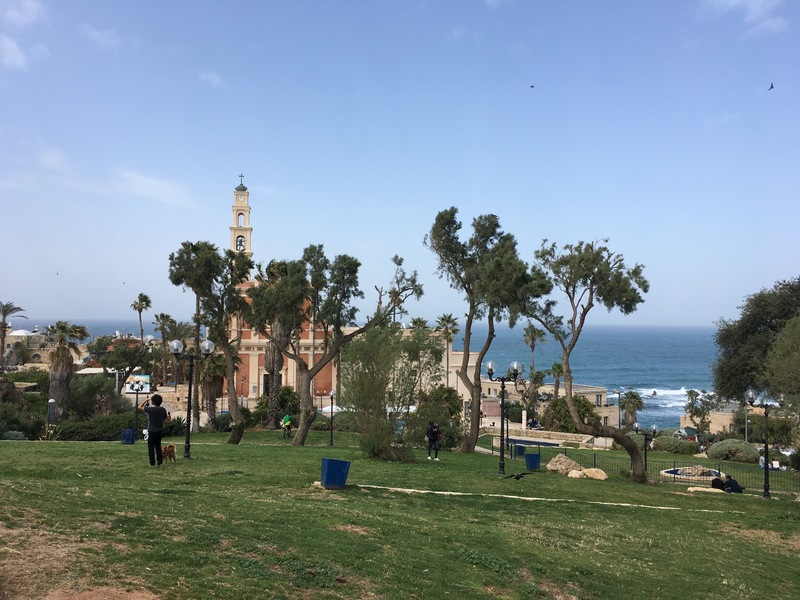 Following the talk, we rode down to Old Jaffa, where our guide Doron explained the long, complicated, and detailed history of the land we now call Israel. Old Jaffa is a 4000-year-old town that was swallowed up by the sprawling urban mass of Tel Aviv in 1950. 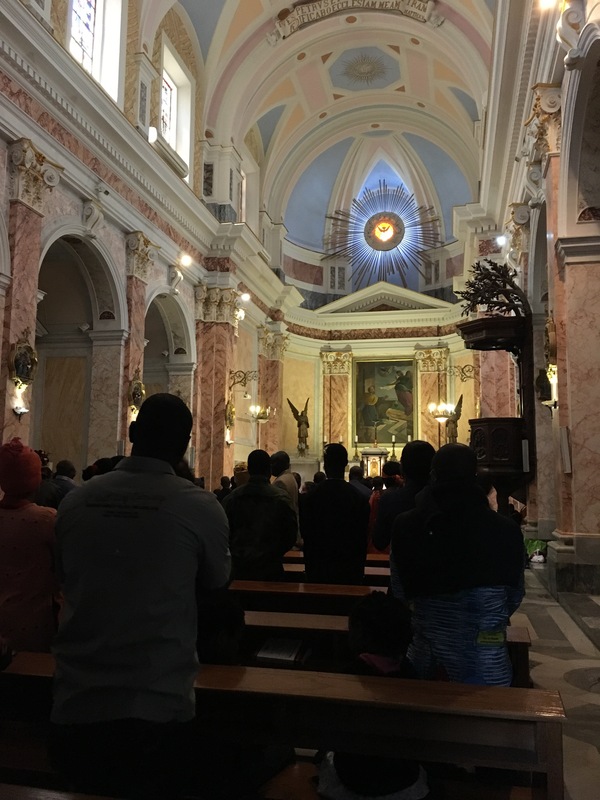 We visited the church at the place where Peter is reported to have had a vision, and we were able to stay for a few minutes of mass. We then explored the market and seaport, before getting on our bus to Nazareth. 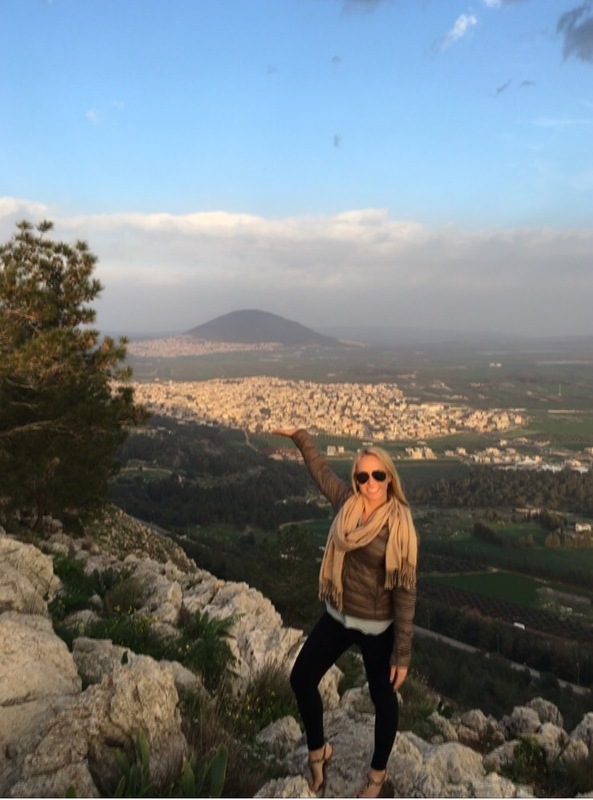 Nazareth is located in the northern part of Israel, and is famous for being Jesus’ hometown! It is majority Muslim, and is very modern (complete with an H&M and Zara). We had lunch before visiting the Church of the Anunciation, located at the place where Gabriel visited Mary and told her she would be the mother of Jesus. 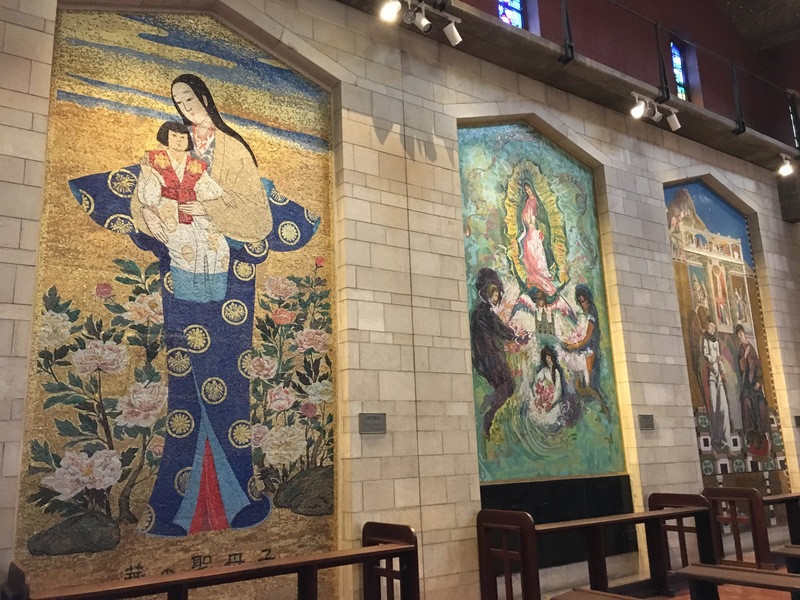 The church has different artistic depictions of Mary given from countries around the world to honor her role in the Christian faith. 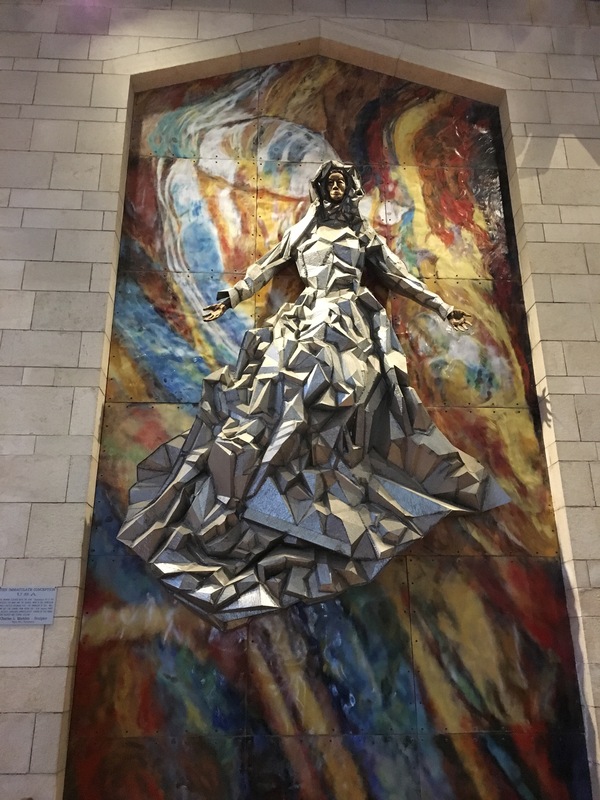 The church has preserved the very spot where tradition holds the angel visited Mary (below), and visitors are able to file past. 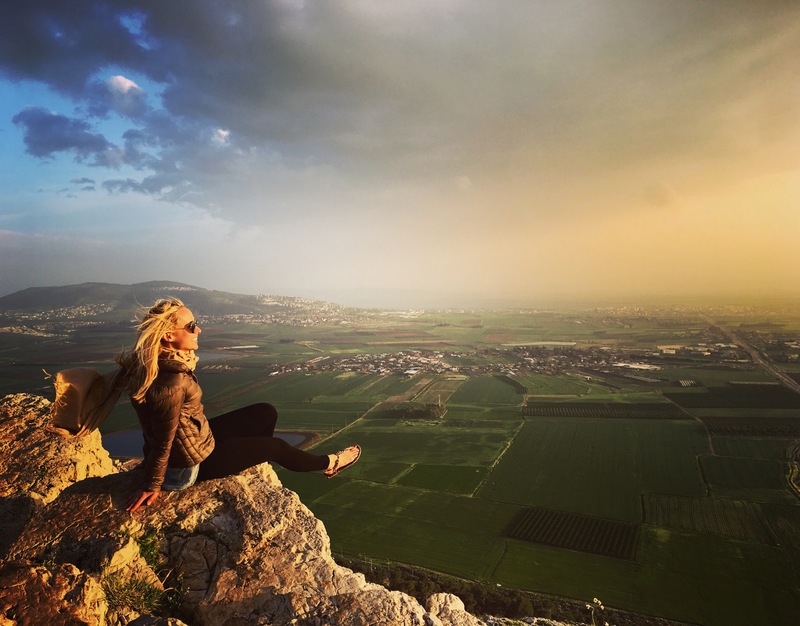 After leaving Nazareth, we stopped at a beautiful lookout point just outside the city, where we soaked in views of Nazareth and the surrounding agriculture. We also were able to see Mt. Tabor, the traditionally held location of Jesus’ transfiguration. We then drove further north to the Golan Heights region, which was part of Syria until Israel took control during the 1967 war. We stopped for dinner and a wine tasting at Assaf Winery, where we had 6 different wines paired with what seemed like endless courses of food. Golan Heights is like the Napa Valley of Israel, and the Assaf winery is family owned and operated. They were extremely hospitable hosts. I bought a bottle of their Cabernet Sauvignon to enjoy later on the trip! 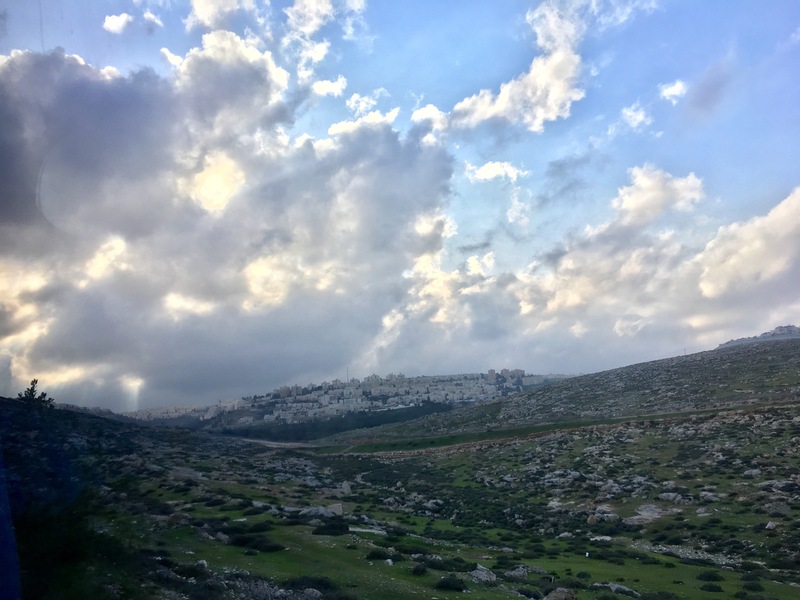 After a delicious dinner and wine-tasting, we continued even further into the Golan Heights to our accommodations for the night–Kibbutz Ein Zivan. I’d always associated the “kibbutz” with a type of utopian hippie commune, and apparently they were collective communities of this sort until the 1970s. Now, kibbutzim is still a part of the Israeli national identity, but they have been privatized and function as vacation getaways. 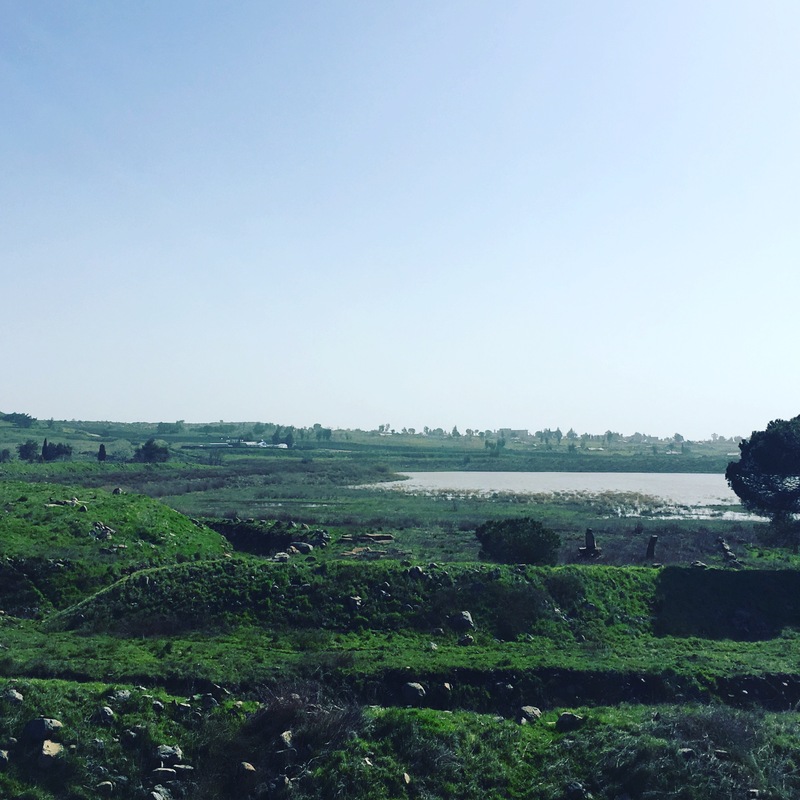 Our kibbutz was cozy, clean, comfortable, and without wifi– a very utopian hippie experience indeed! Only 2 days into Israel, and we’ve already done so much! 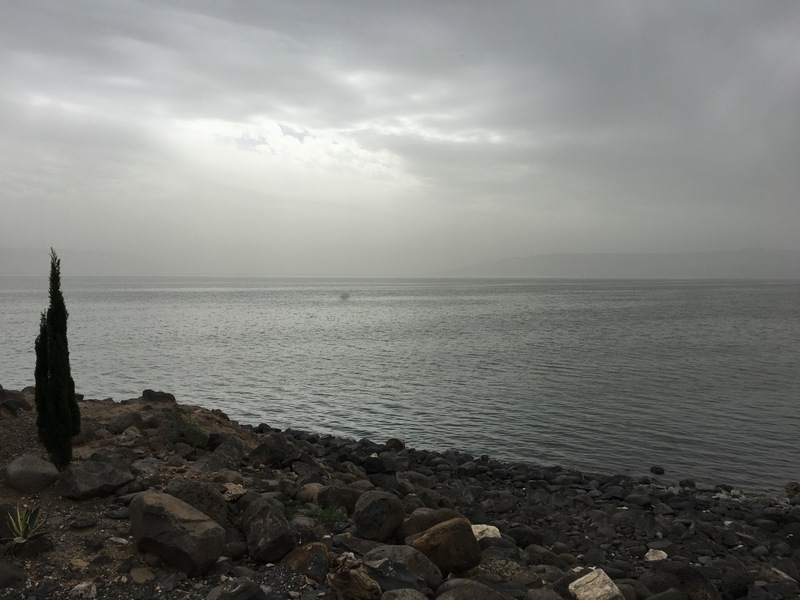 Up next… the Syrian border, the Sea of Galilee, and the Dead Sea.